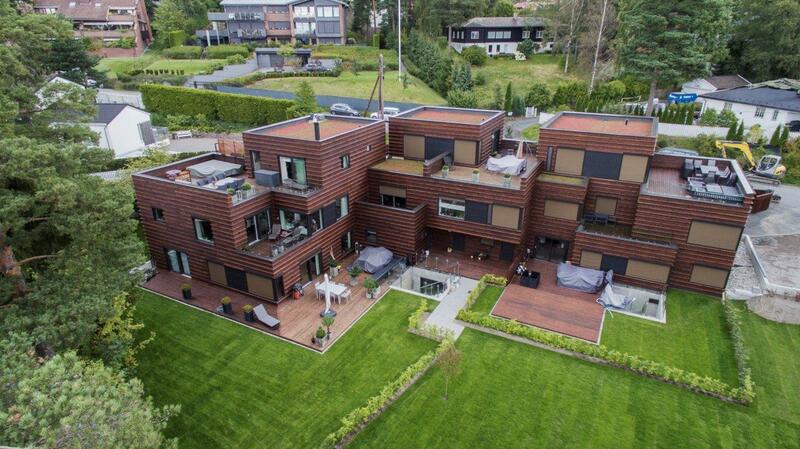 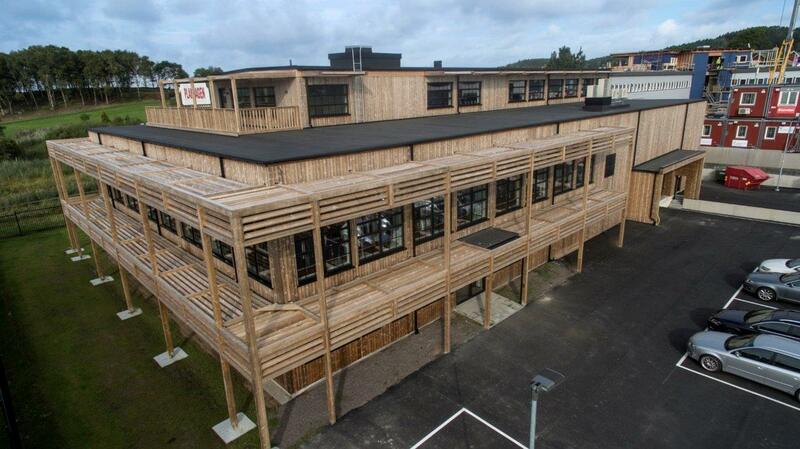 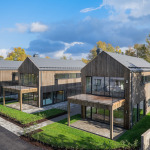 EstNor manufactures pre-fabricated element houses that are produced in a factory in Kiili, Estonia. 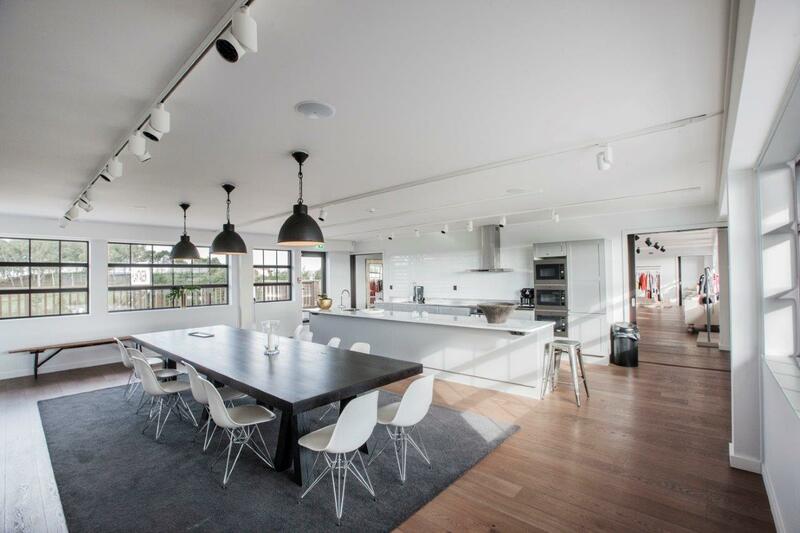 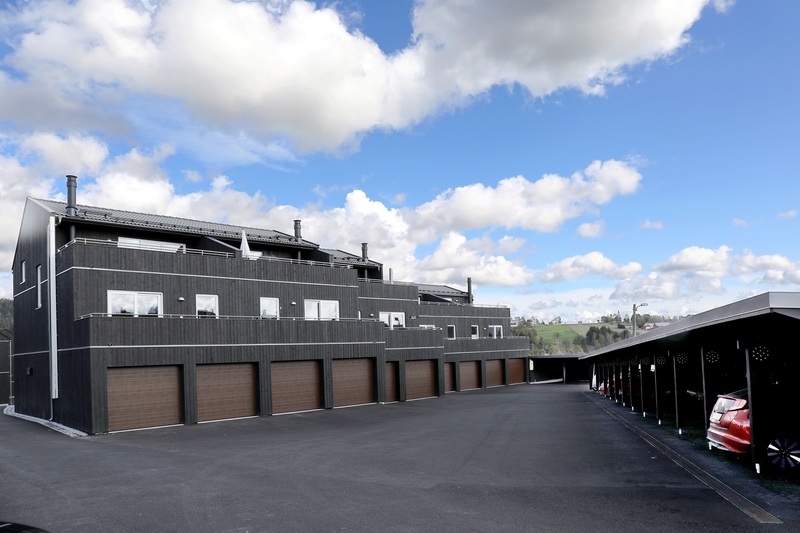 The factory produces exterior, interior, incerted ceiling, roof and terrace elements. 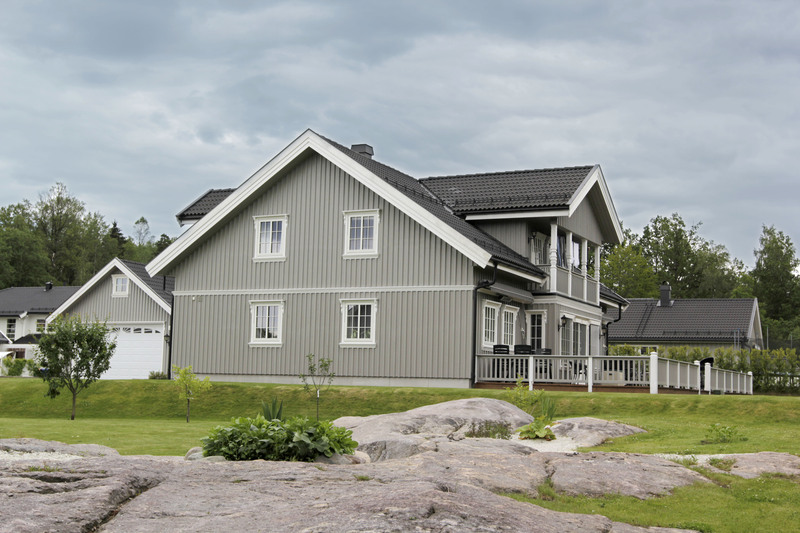 A factory-produced house is of excellent quality since it is built indoors, in other words, in a specific controlled environment, which excludes any damage or discomfort that elements (rain, snow, wind, temperature, etc.) 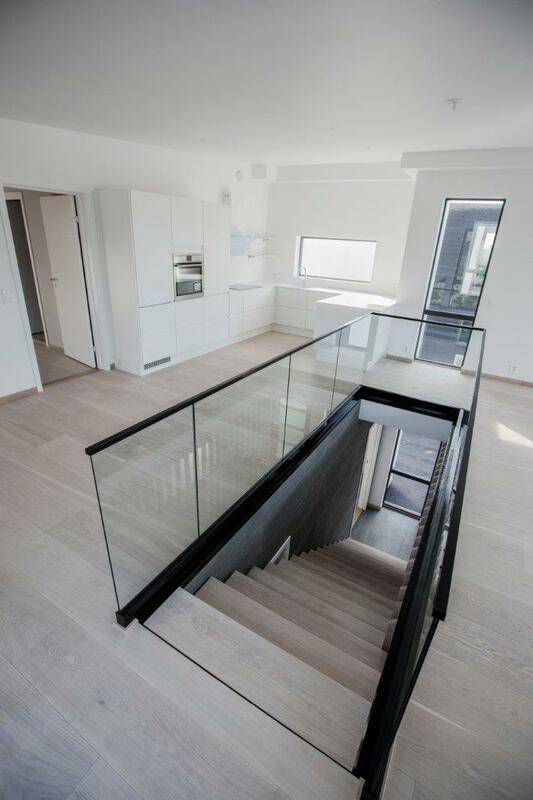 may cause. 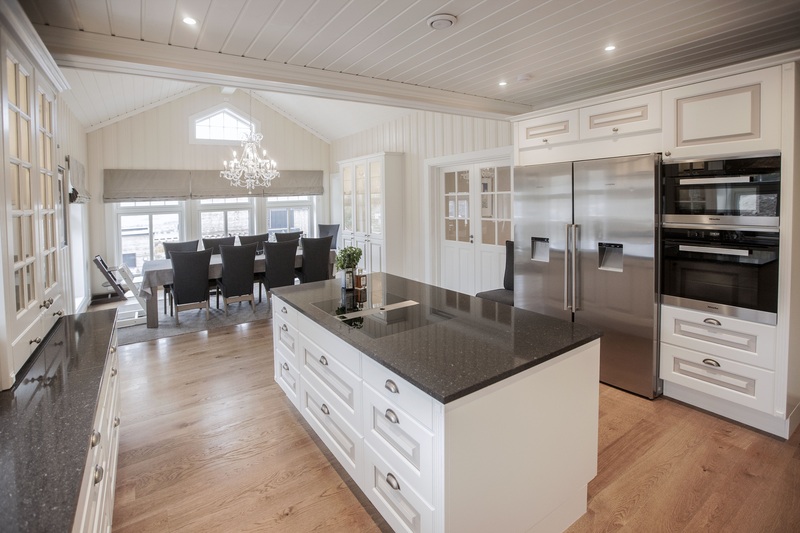 Production of the house is fast as the elements are put together on single-purpose workbenches that are equipped with necessary tools. 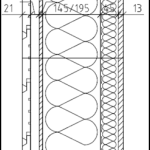 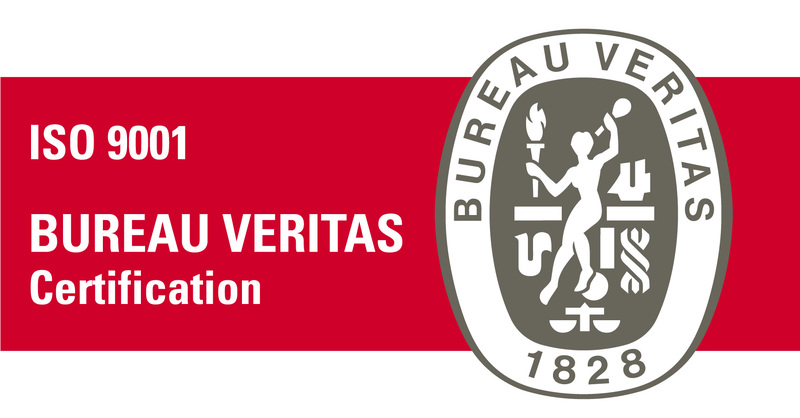 Accurate drawings drafted by designers enable fast and efficient element production. 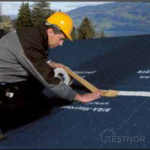 The elements are produced with millimeter accuracy. 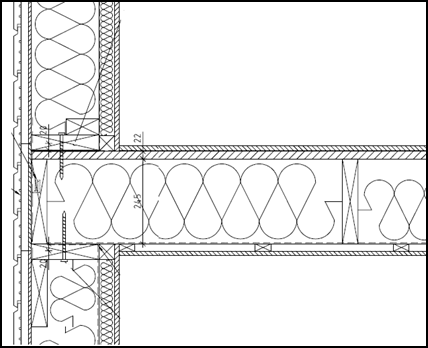 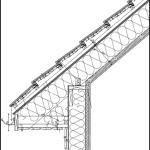 Strength calculations are made by engineers according to local standards, which rules out under- and over dimensioning of the bearing structures. 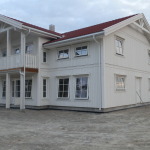 As much as possible of the construction is assembled in the factory. 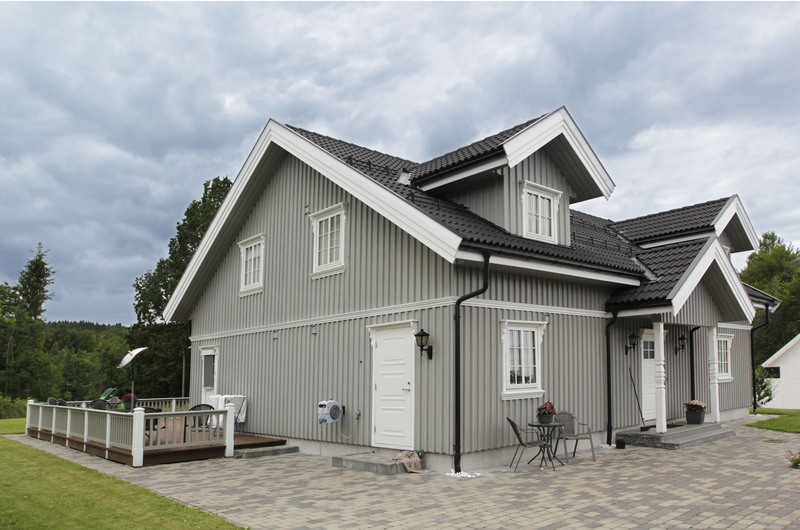 For example, besides wooden frame heat insulation, vapor and wind barrier materials, painted exterior weatherboard, windows, doors, etc. 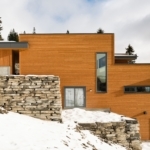 are installed to the exterior wall. 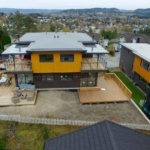 Anything that cannot be assembled is cross-cut and replenished with the rest, facilitating works to be carried out on the building site are easier and being faster to accomplish. 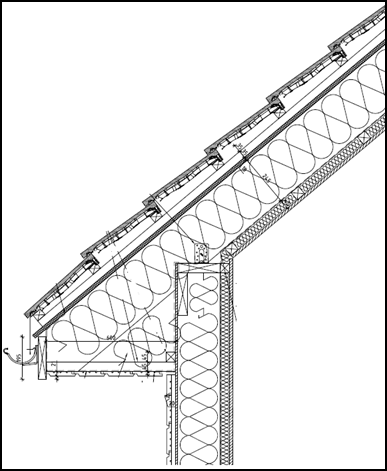 Factory-produced elements are transported and lodged in place by a crane within 1–5 days, depending on the size of the house. 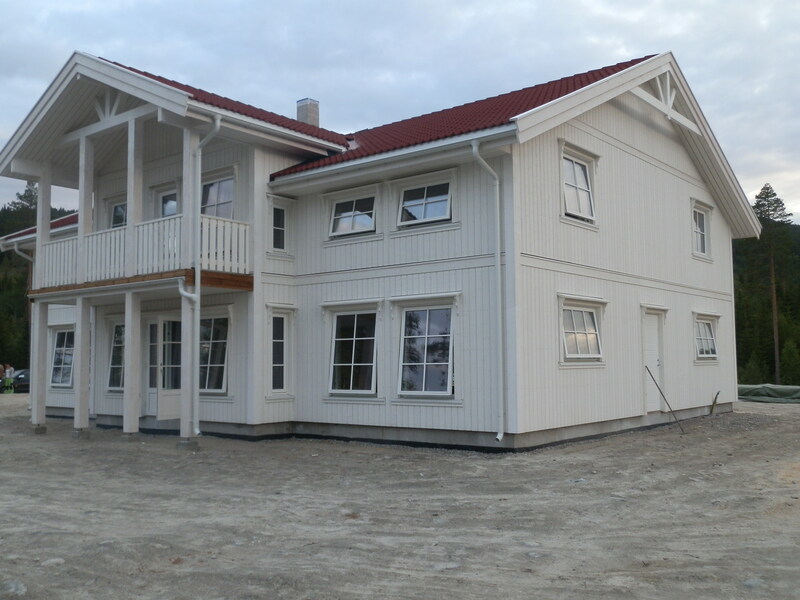 Then the rest of the construction and refinement stages that could not be done in the factory are completed. 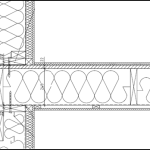 The entire work process at the site is fast and efficient. 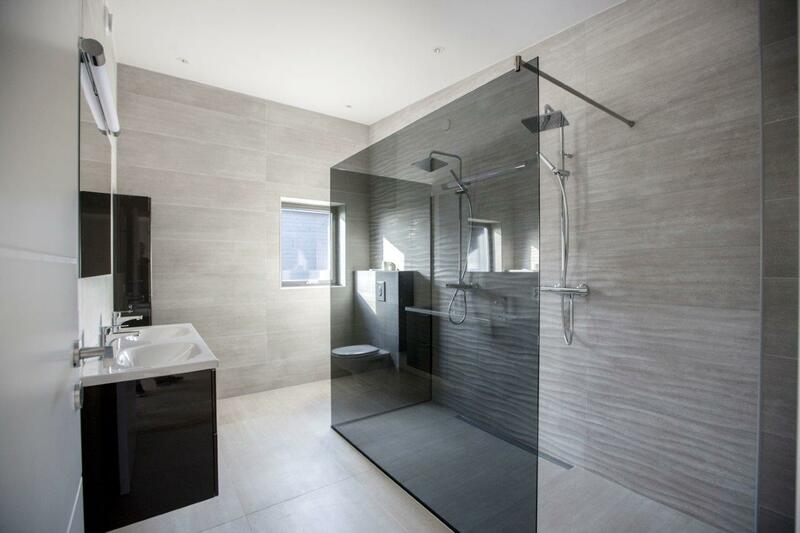 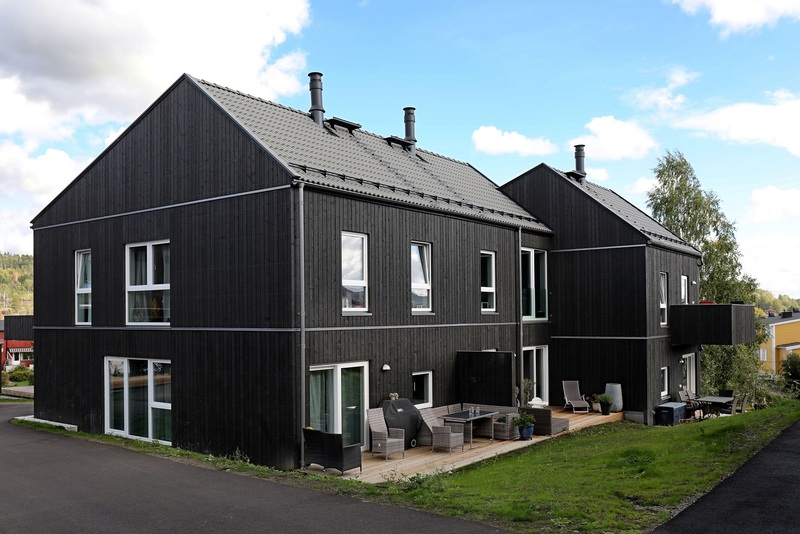 It is possible to manufacture pre-fabricated element houses without any particular restrictions. 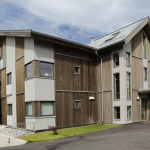 In contrast to module houses, large buildings with a complex architecture can be built. 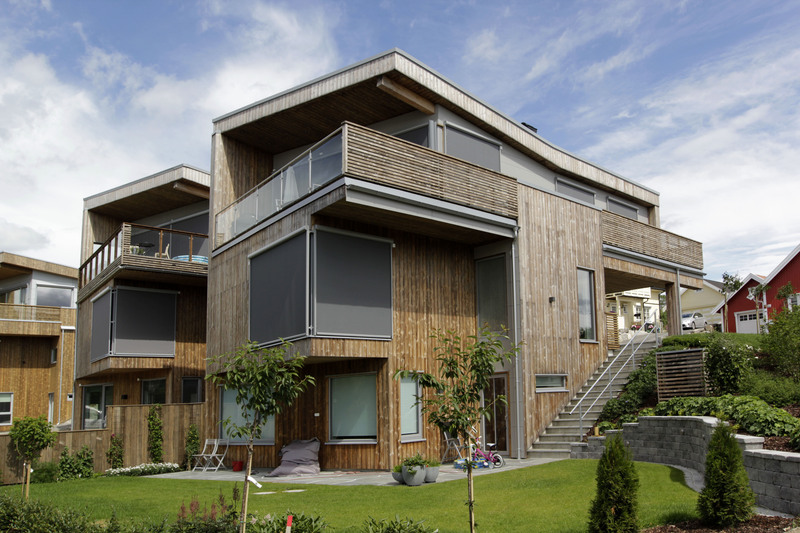 Apartment houses too can be built as element houses. 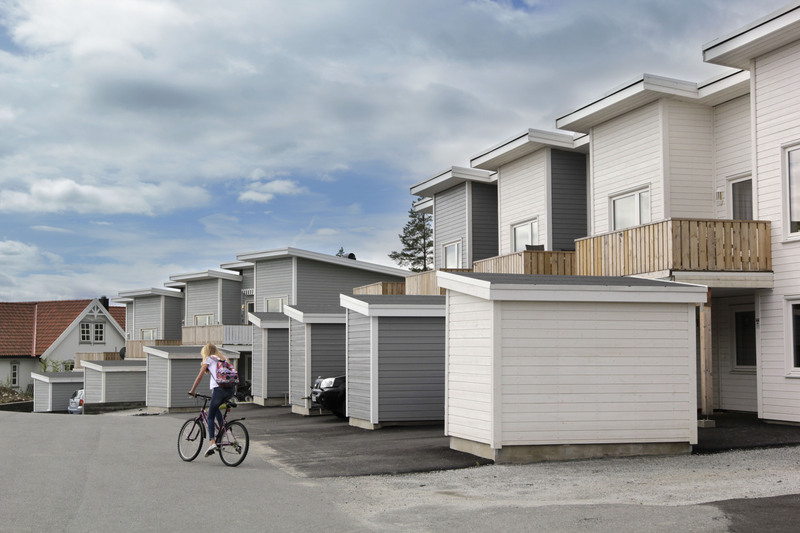 After production the elements are packed into plastic and transported to the construction site with trailers. 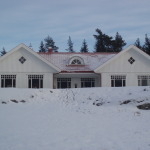 The house is assembled with crane. 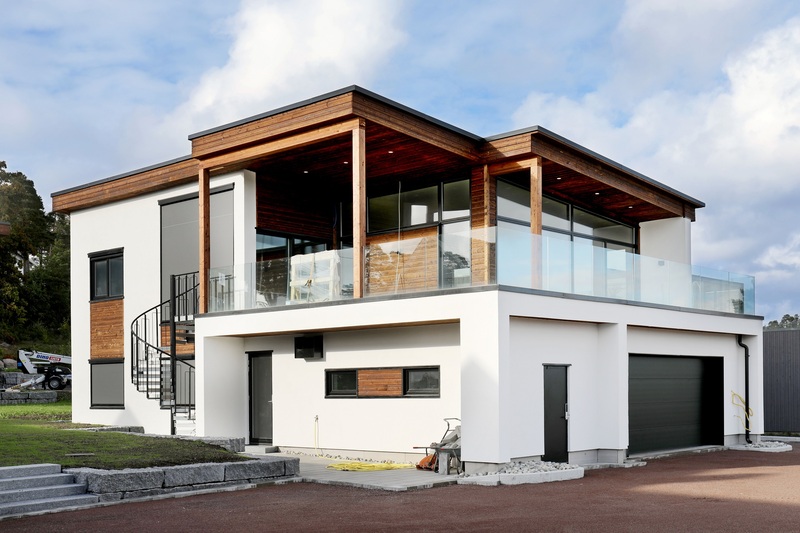 Refinement materials for the exterior wall: weatherboards 21x145mm, weatherboards 21x190mm, polish planking, un-edged planks, and facade panes. 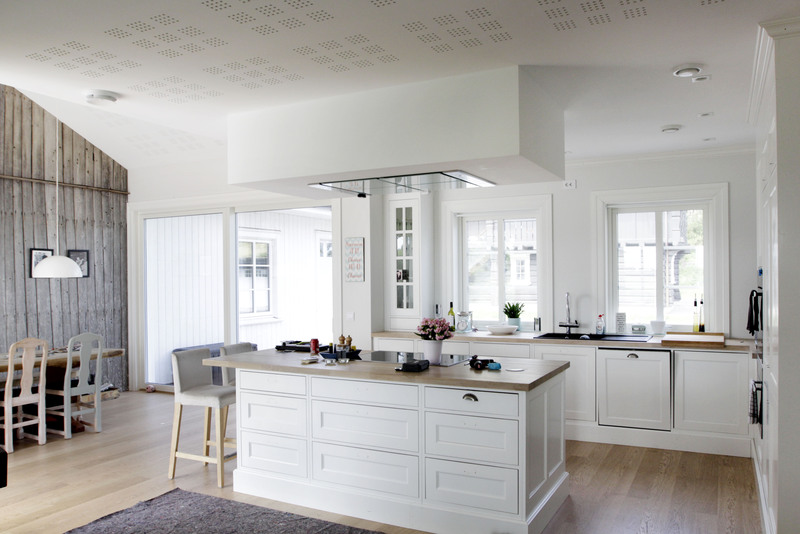 Materials for the ceiling: plasterboard, Tak-Ess ceiling panels, ceiling boardings 19x145mm. 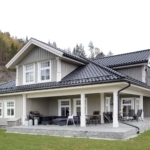 Roofing materials: concrete tiles, steel roof, SBS, bituminous shingles, wood boarding and turf roof. 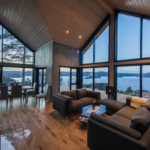 Windows: down-swing triple-glazed, outwards opening with triple glazed, inwards opening triple-glazed, inwards opening with thermo-stop, non-opening windows. 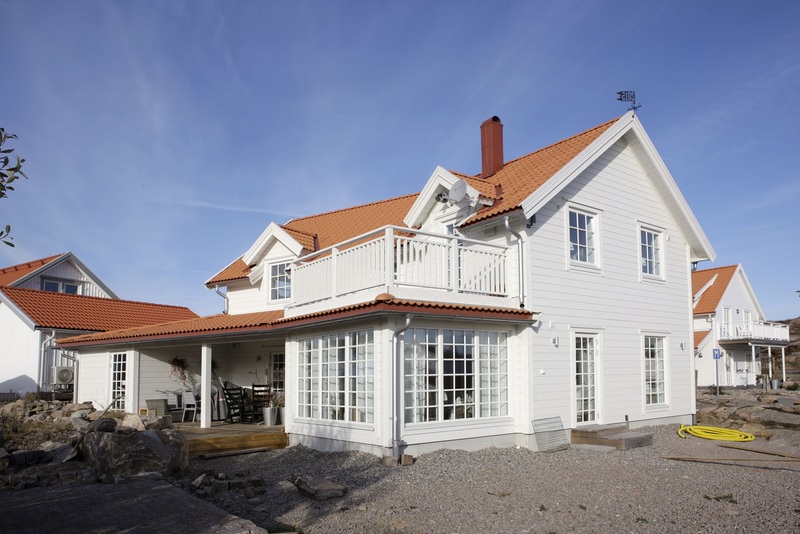 Exterior doors: energy-saving exterior doors, traditional exterior doors, shield doors. 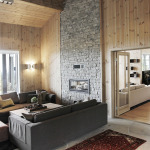 Interior doors: MDF painted doors (flush and profile doors), wood panel doors, fire-barrier doors. 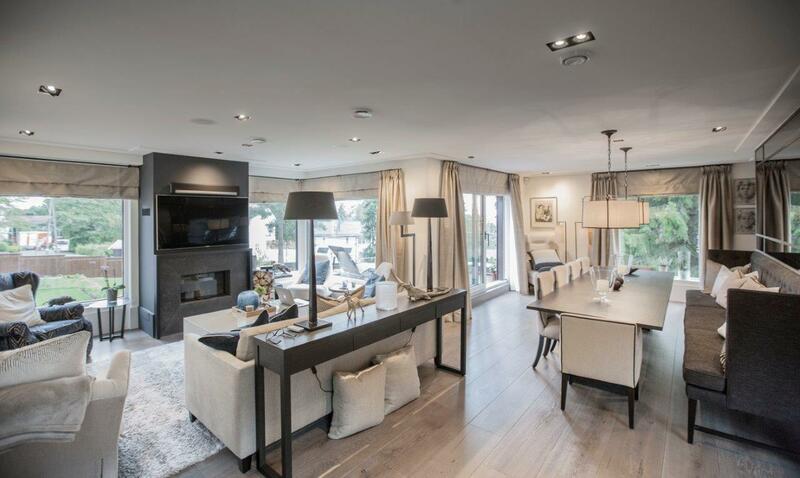 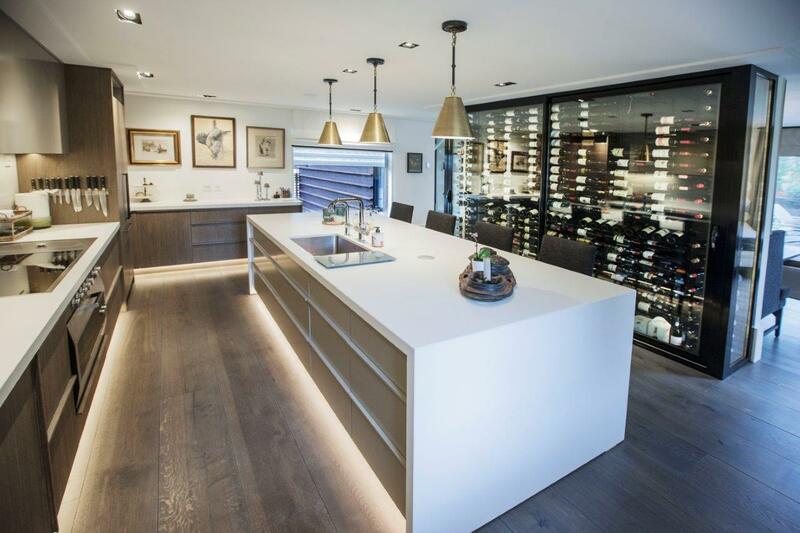 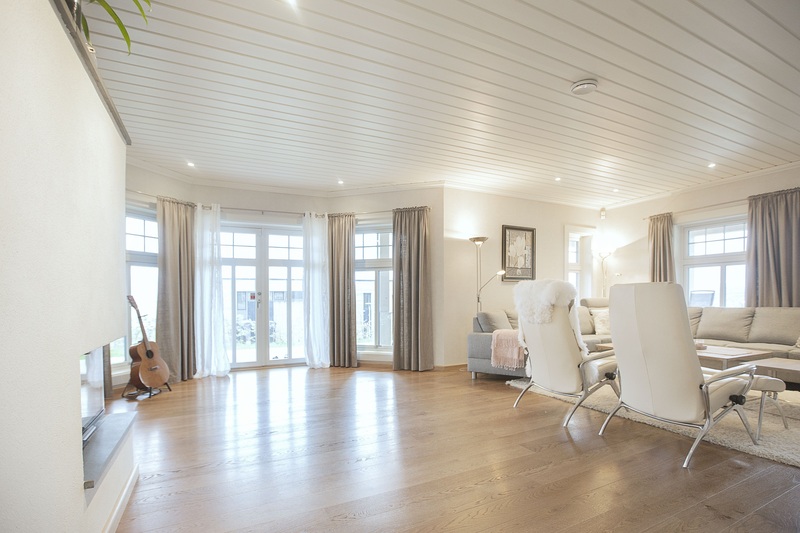 Flooring materials: three-slivered oak parquet, one-slivered oak parquet, oak planks 21x160mm, oak parquet 21x245mm, pine floor planks 33x195mm, pine floor planks 28x145mm. 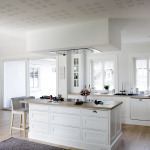 Mouldings: different mdf- and wood mouldings. 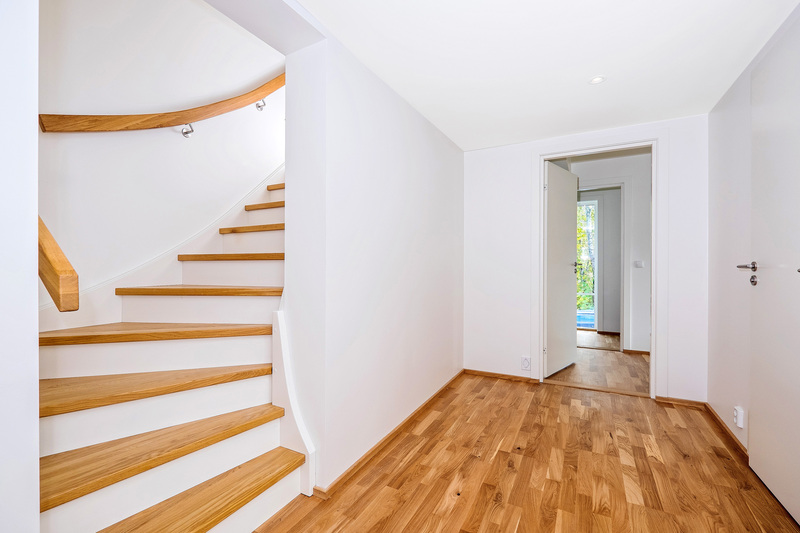 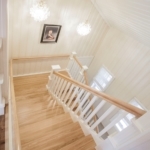 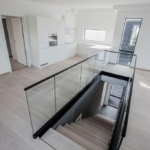 Stairs: open and closed steps (rise), pine and oak steps, refined (paint, varnish, stain) or unrefined, wooden or glass borders. 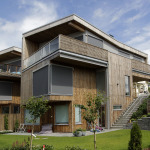 With element houses it is very important to ensure air and wind resistance. 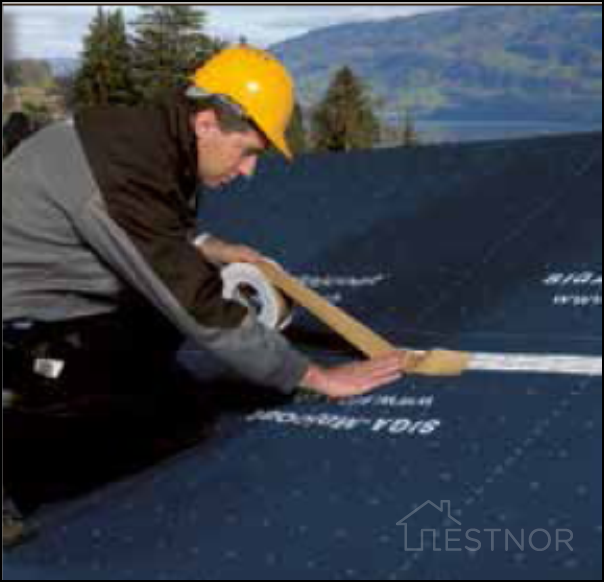 EstNor uses products made by SIGA, which is a leading company in the world in this field — vapor and wind blockage fabrics, a lot of different tapes, packings, etc. 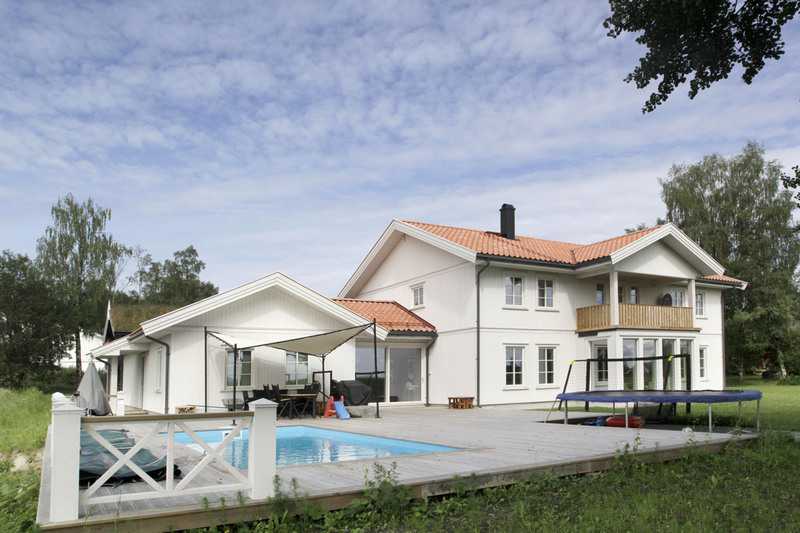 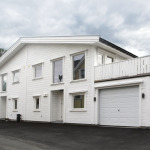 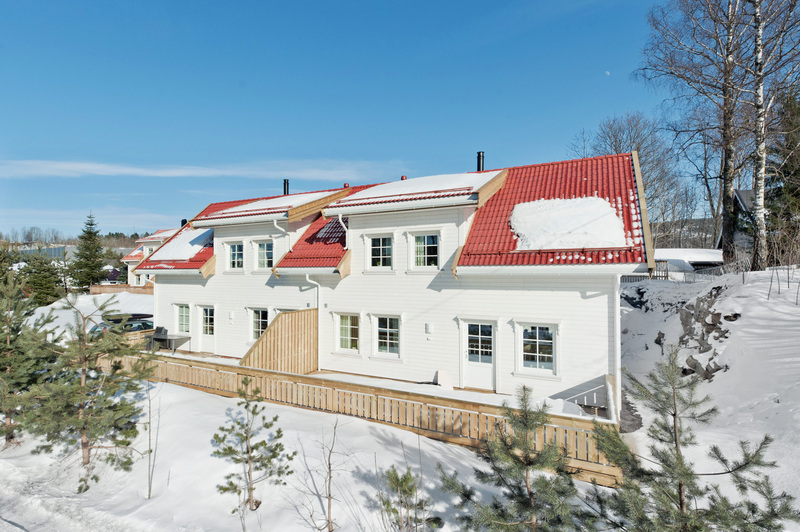 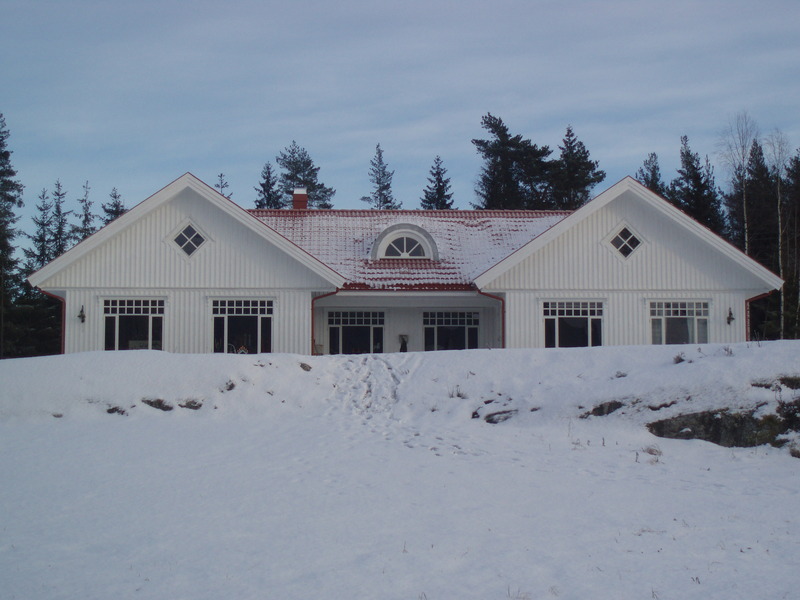 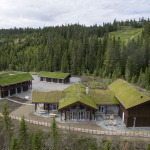 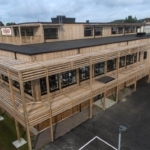 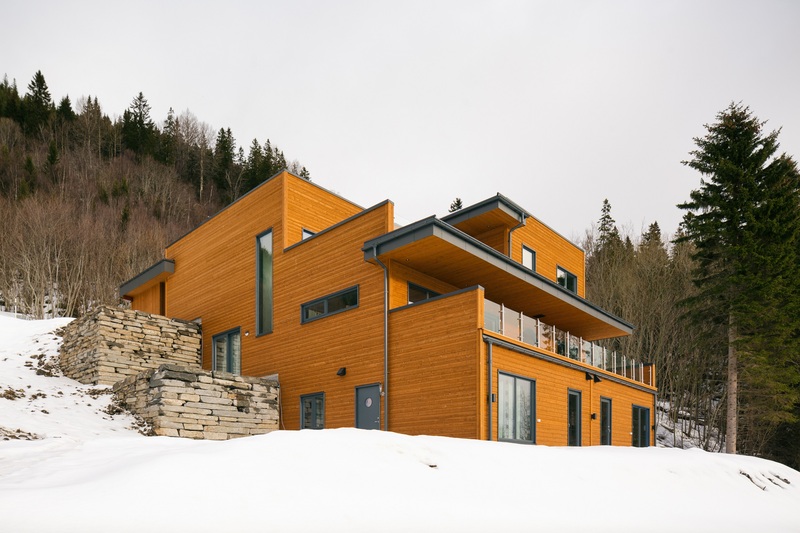 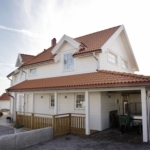 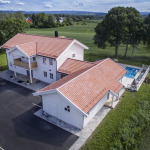 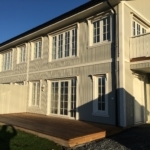 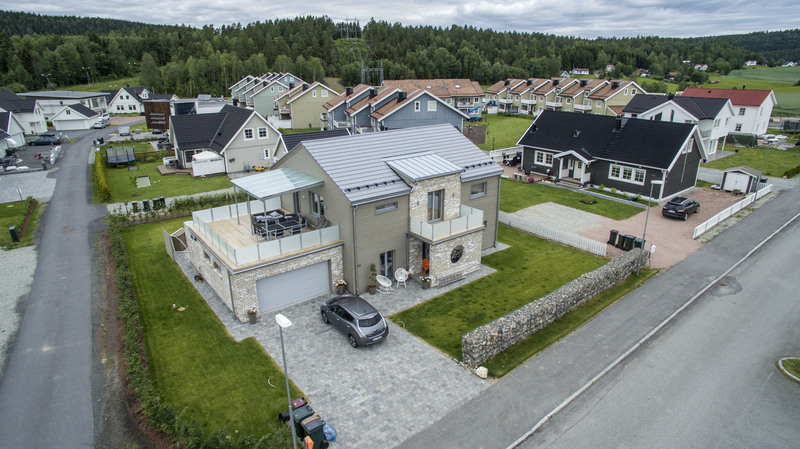 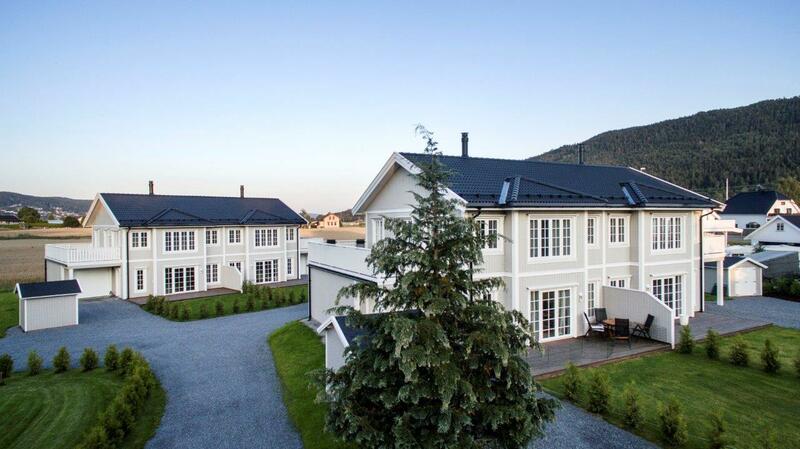 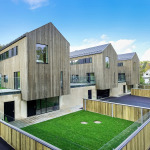 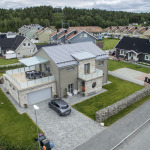 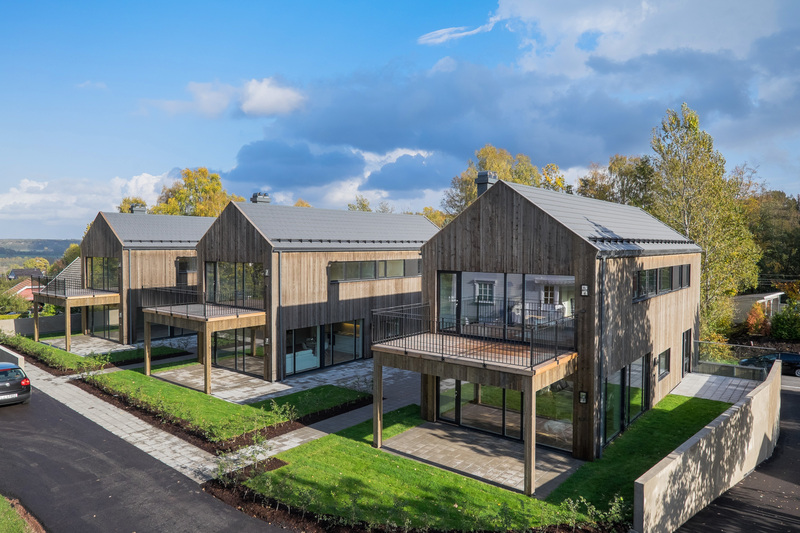 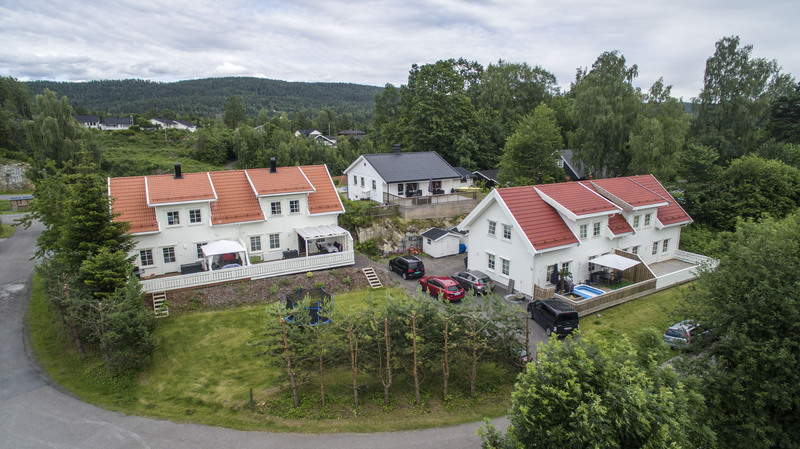 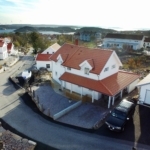 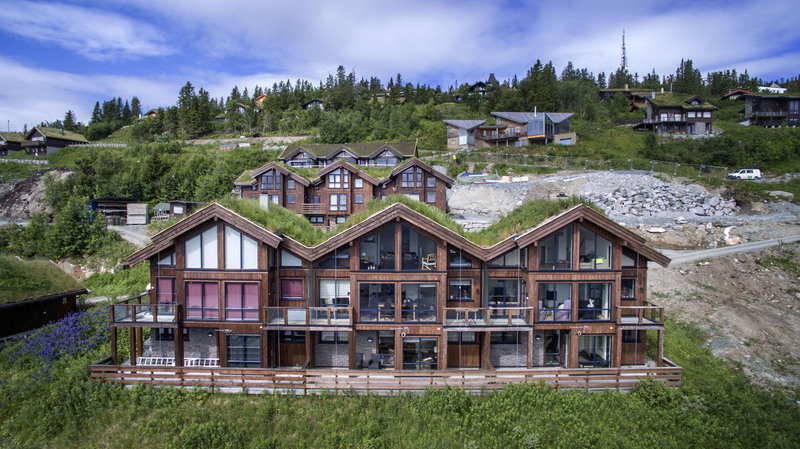 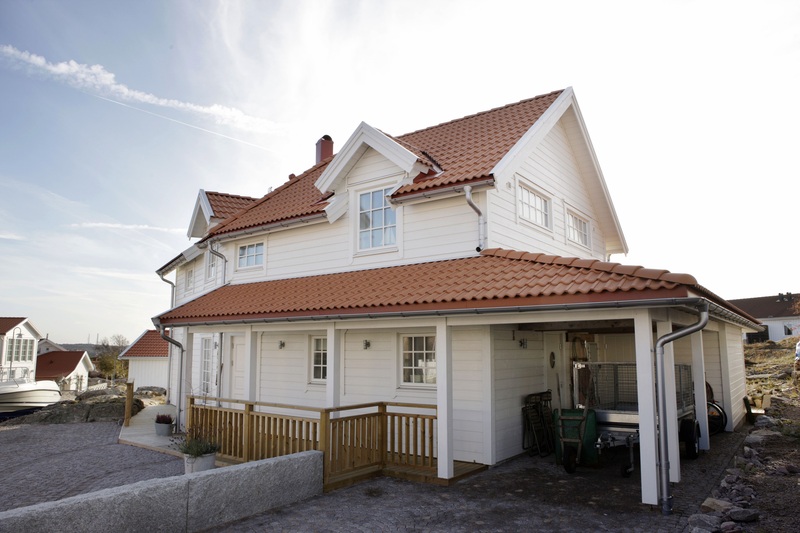 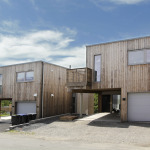 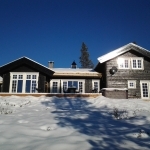 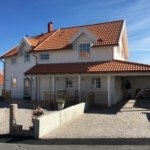 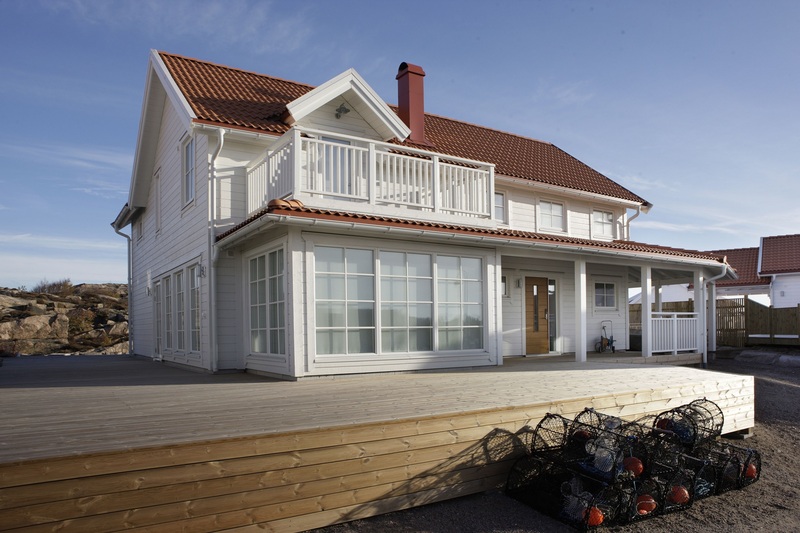 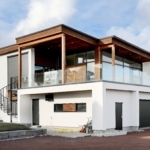 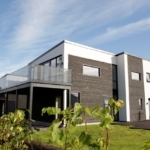 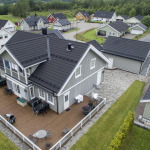 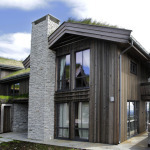 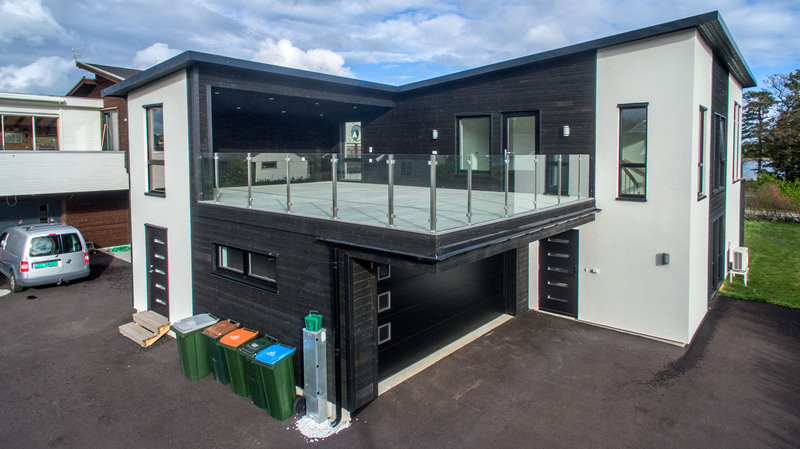 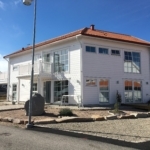 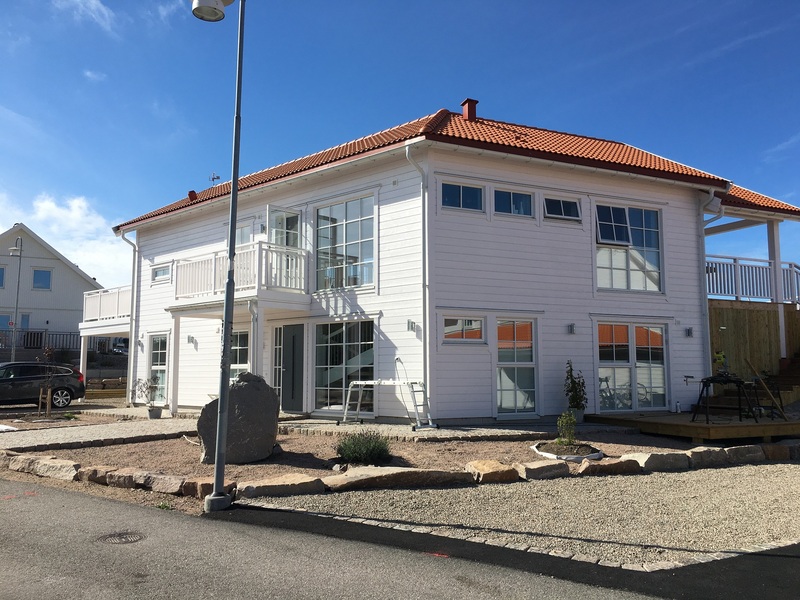 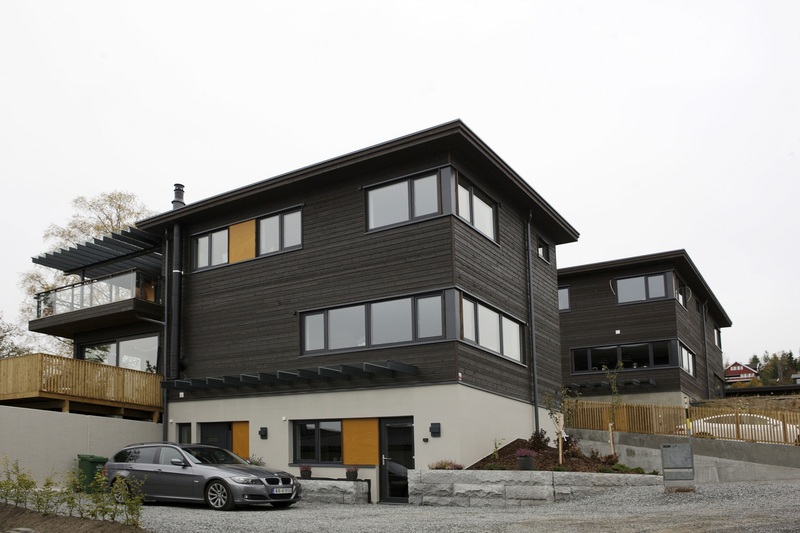 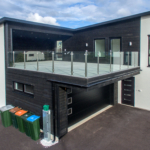 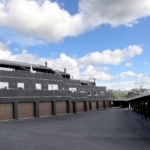 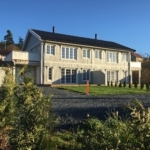 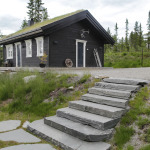 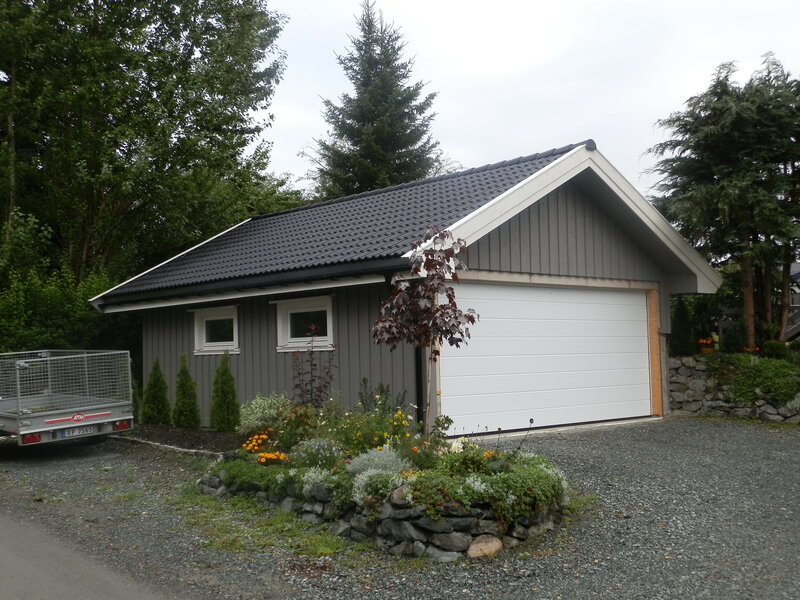 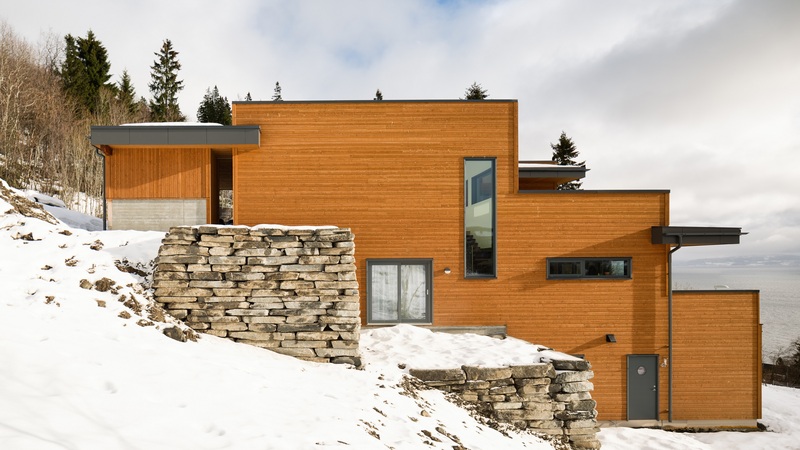 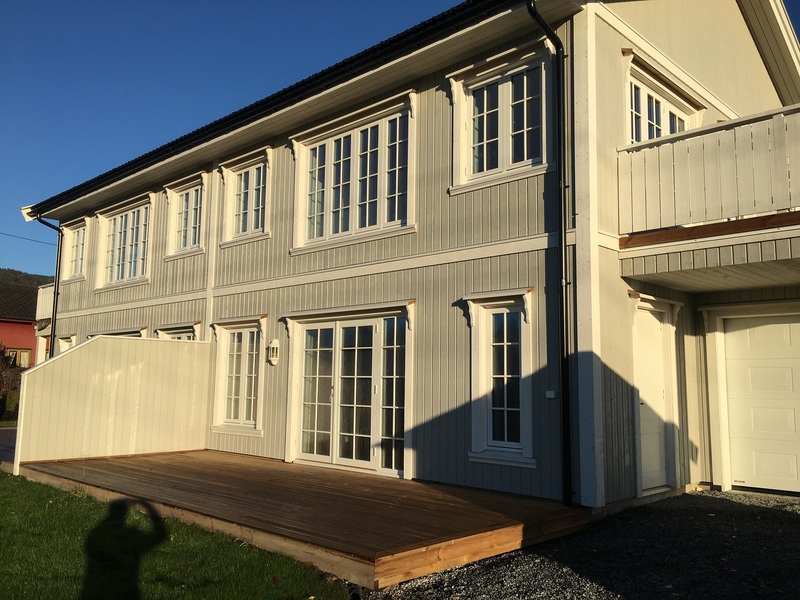 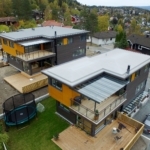 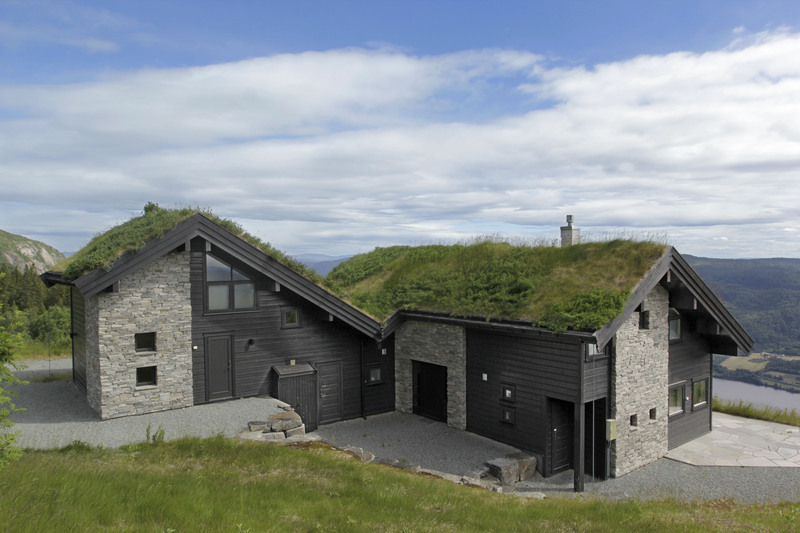 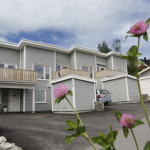 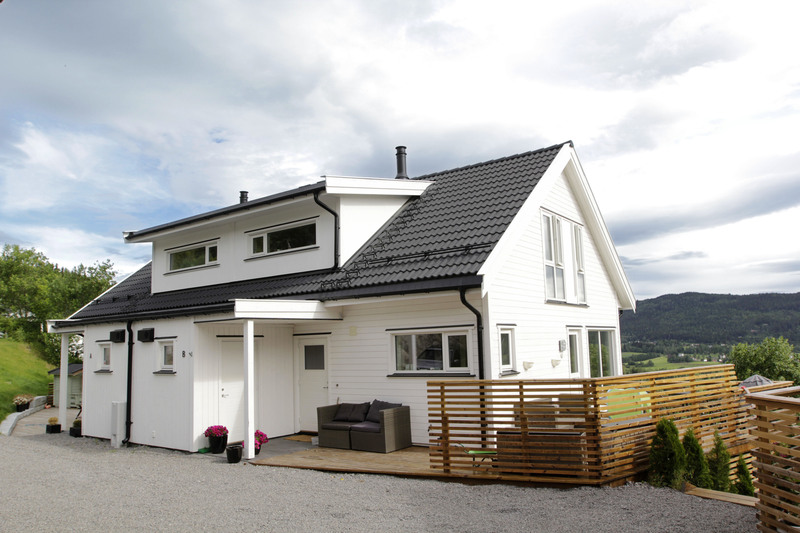 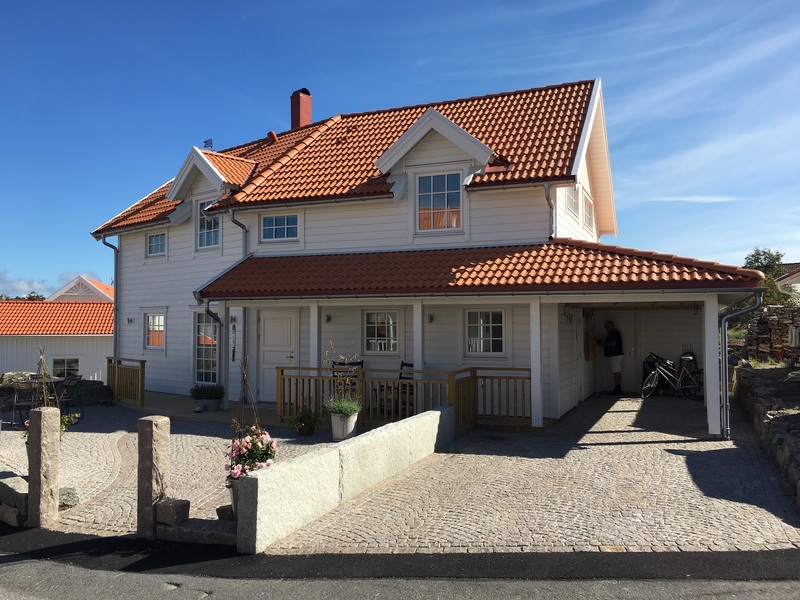 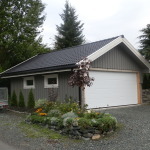 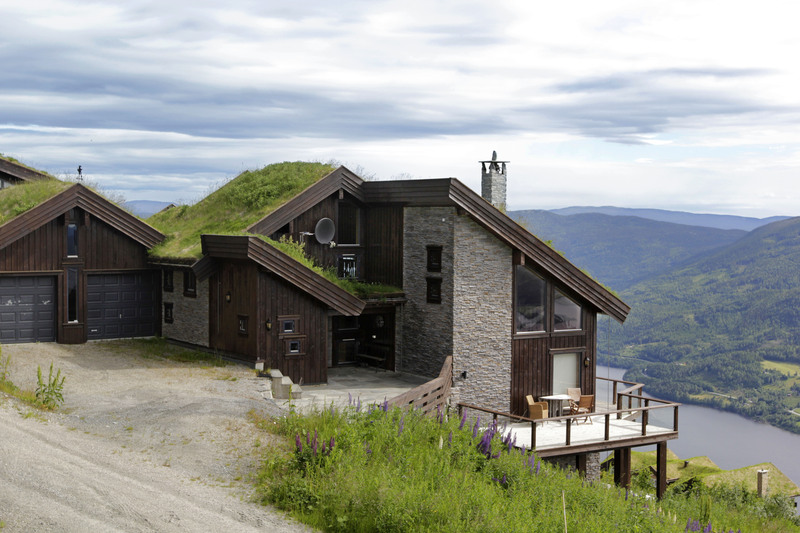 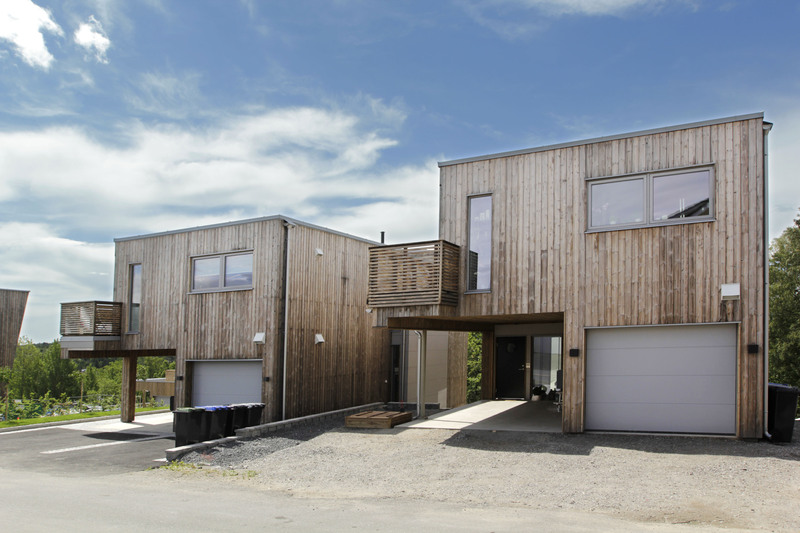 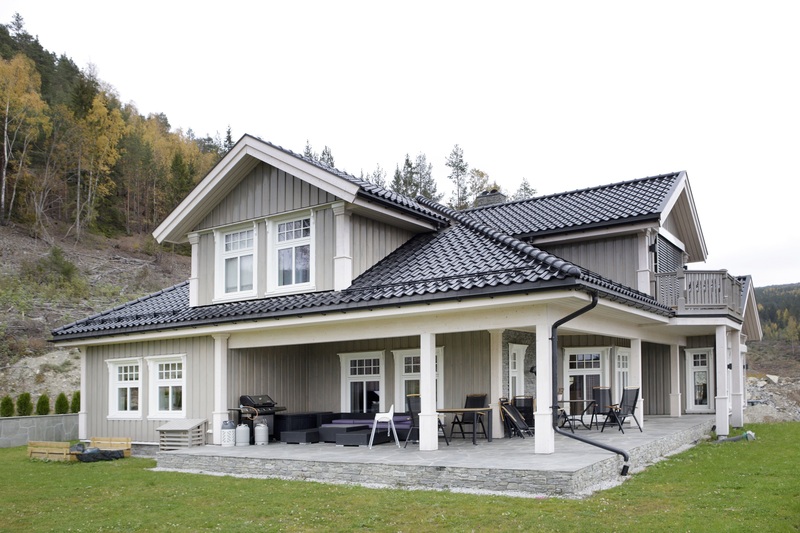 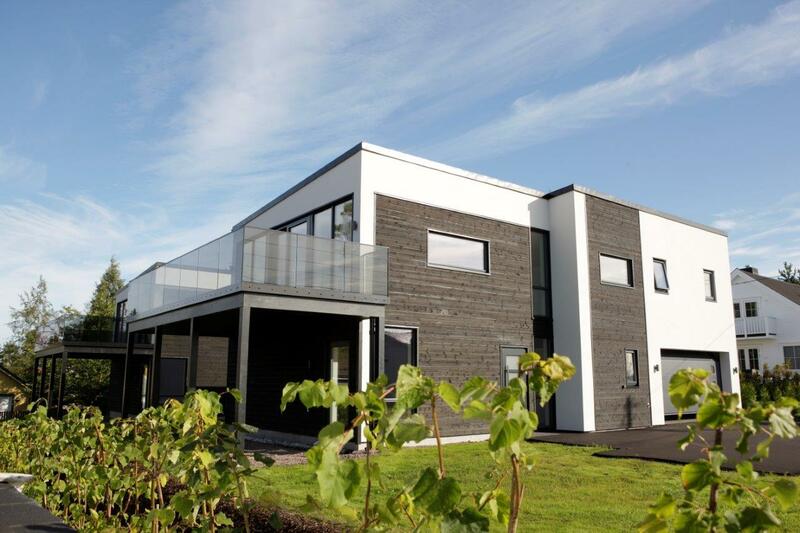 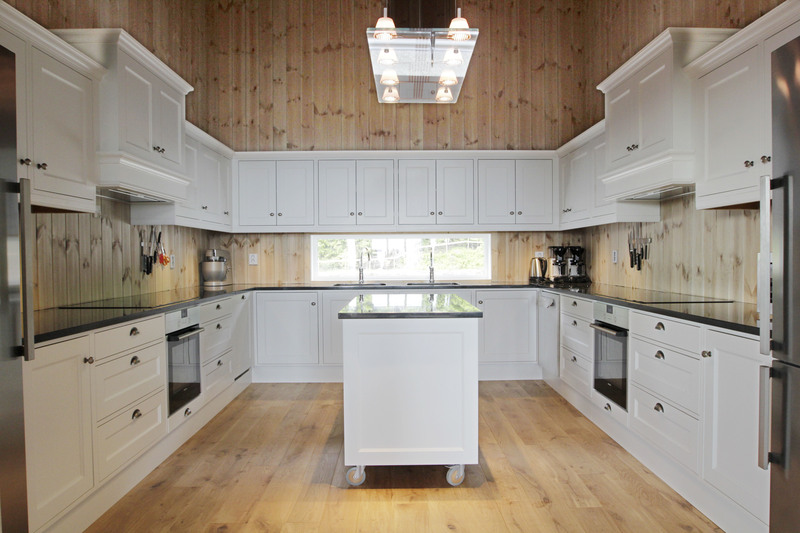 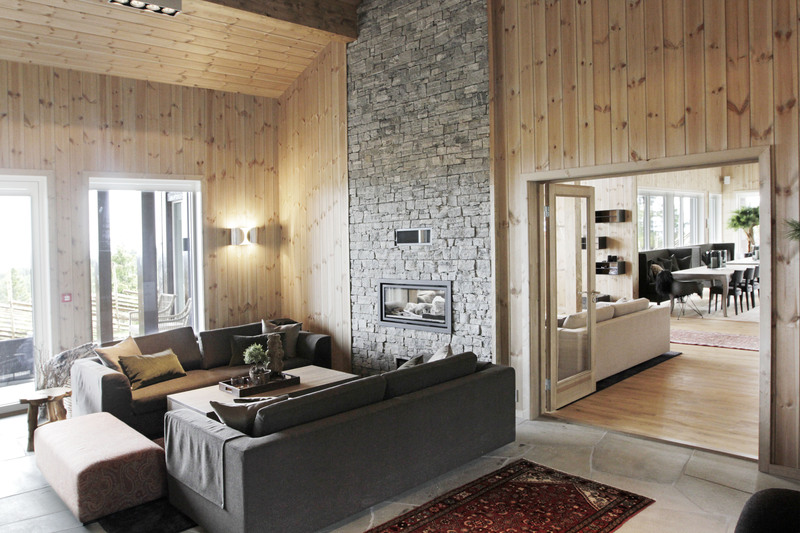 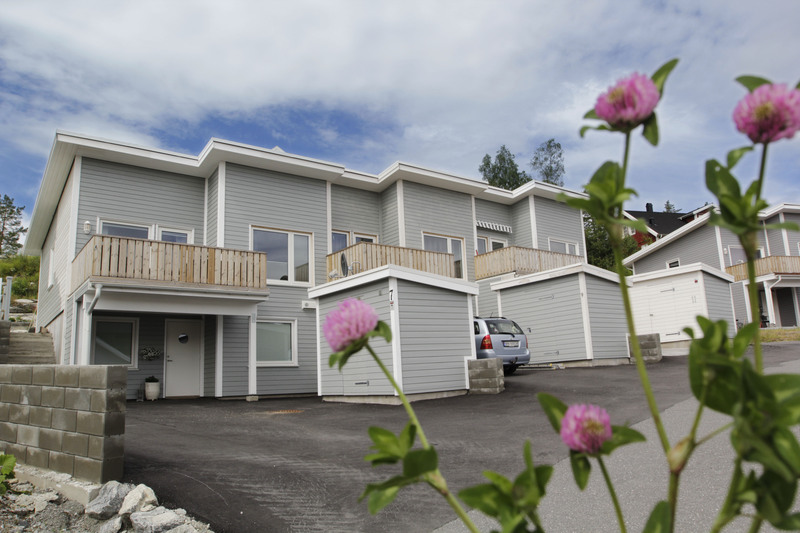 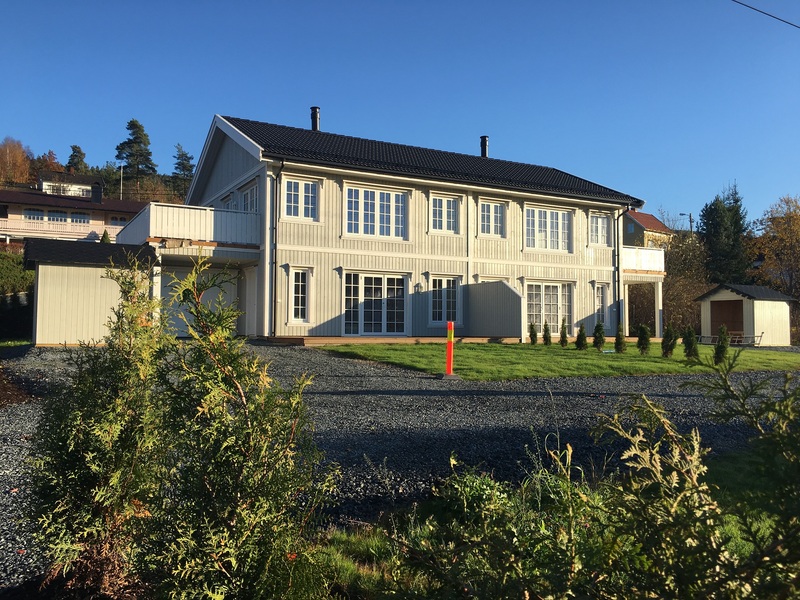 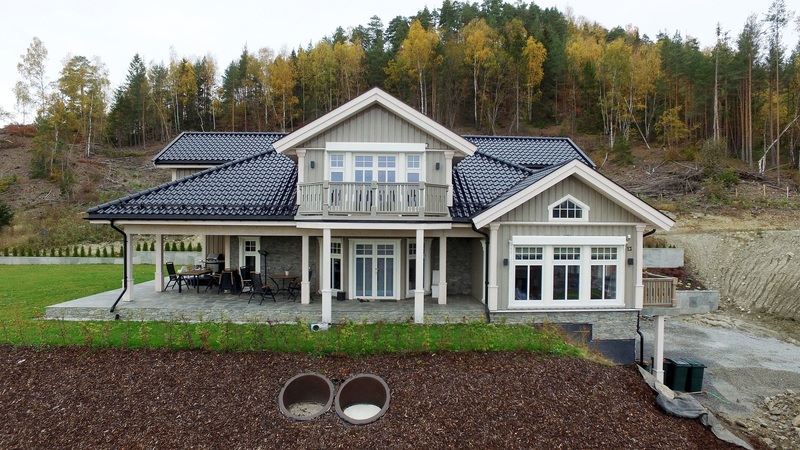 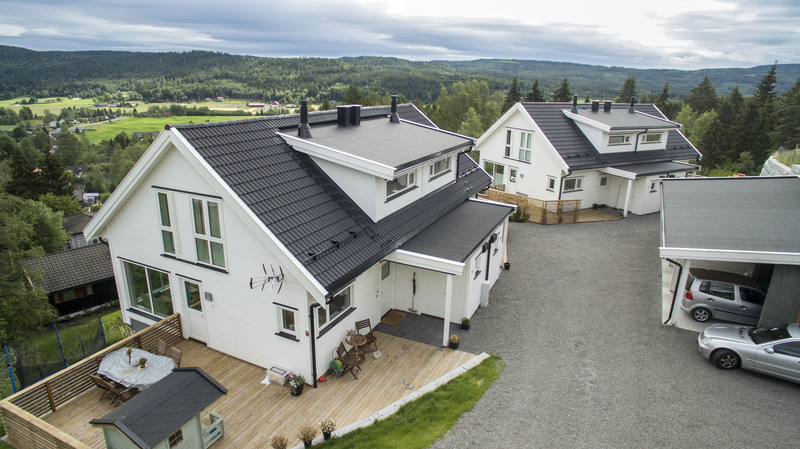 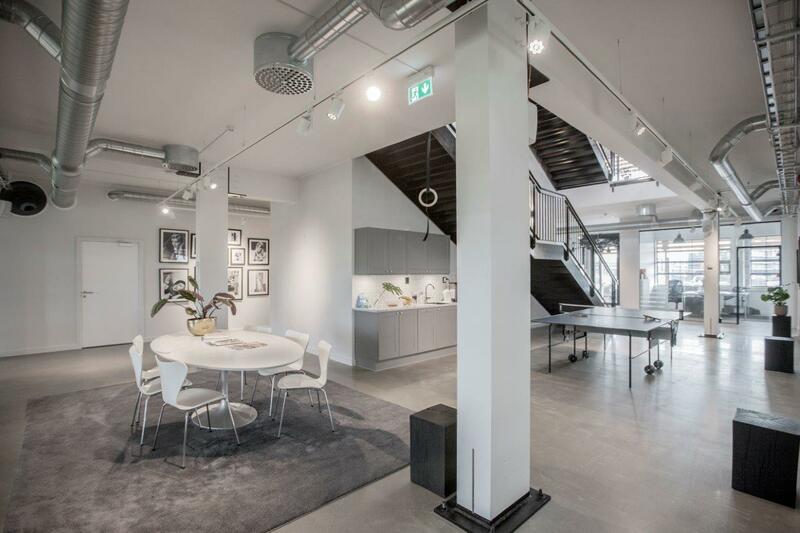 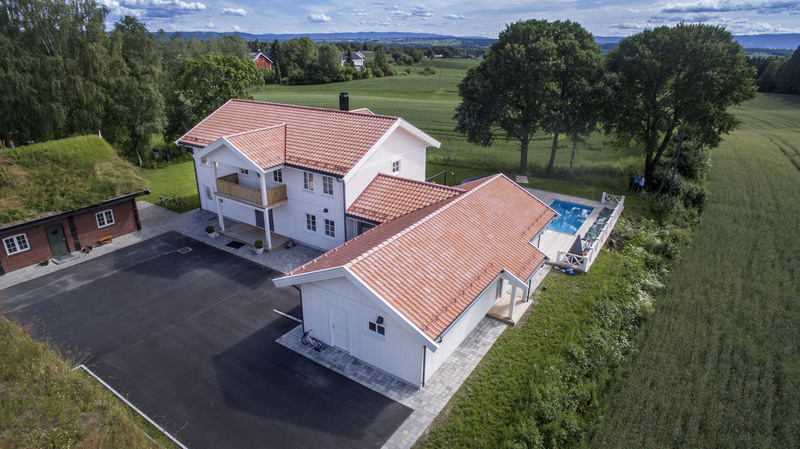 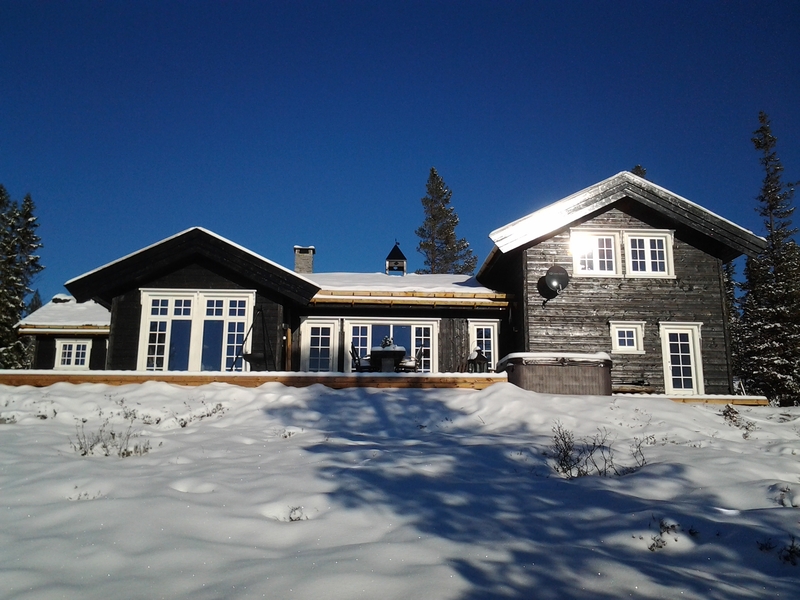 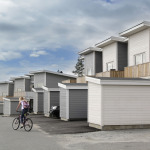 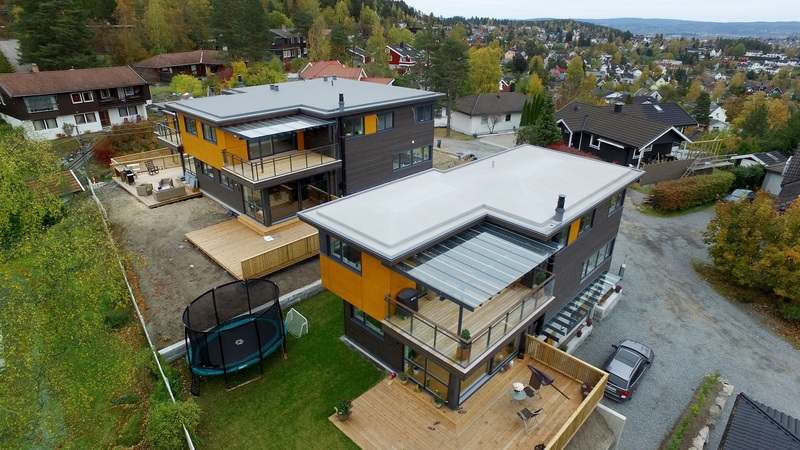 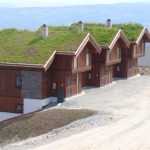 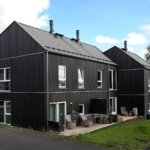 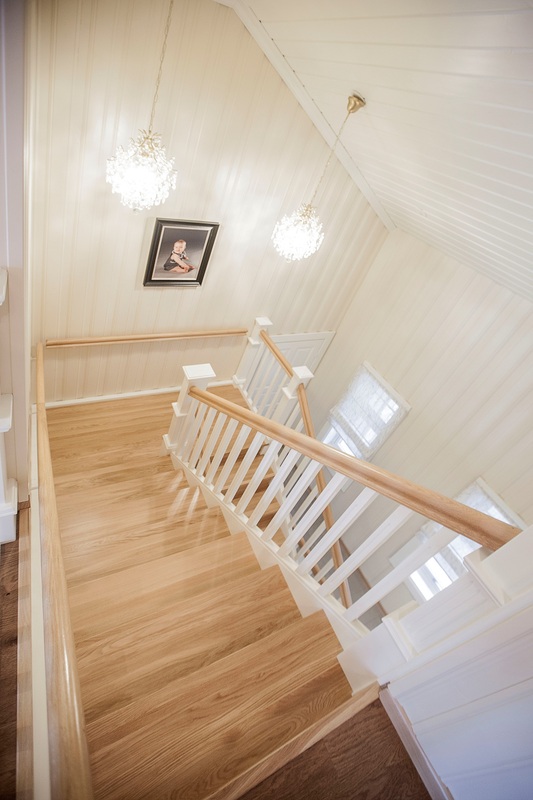 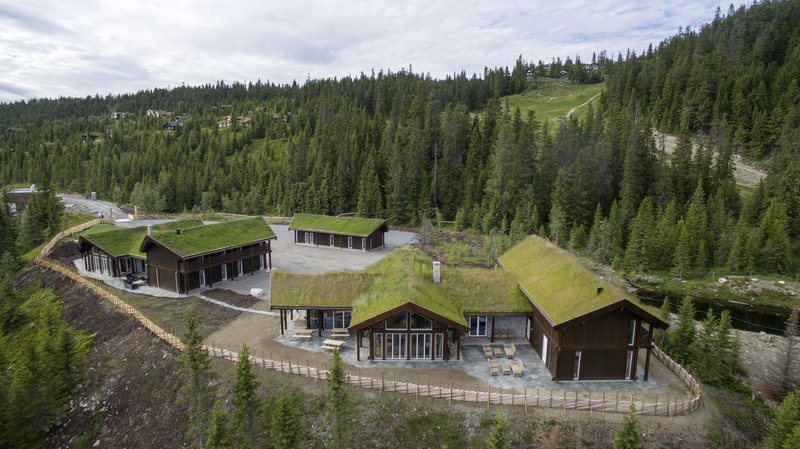 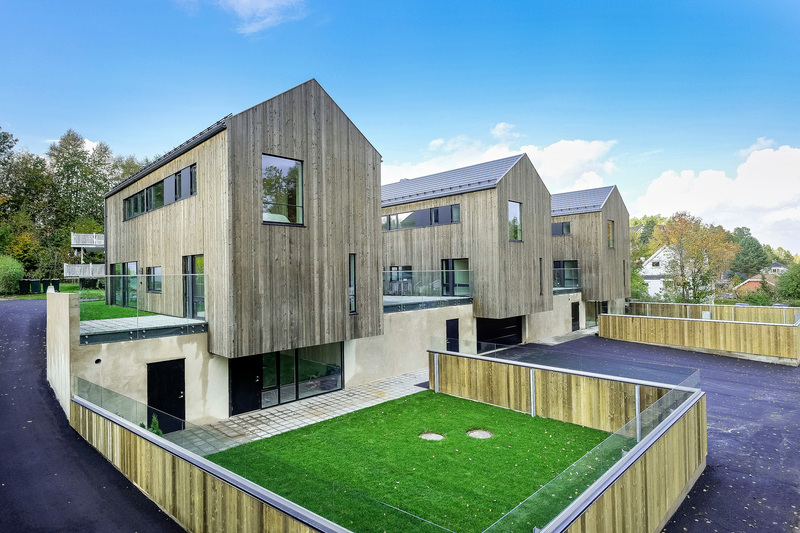 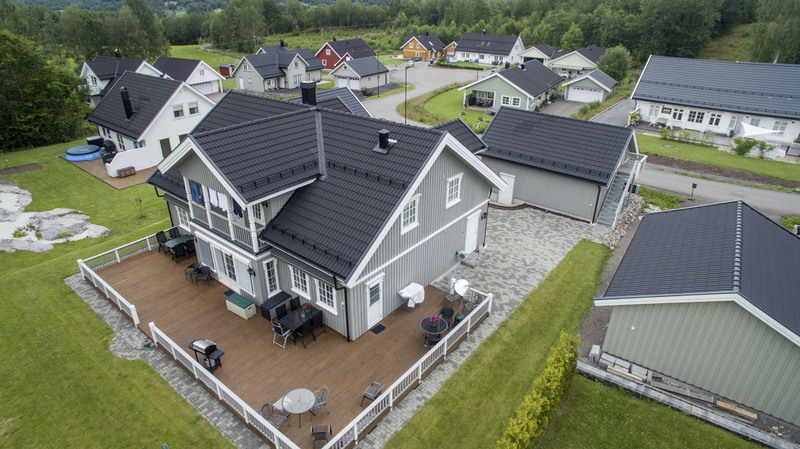 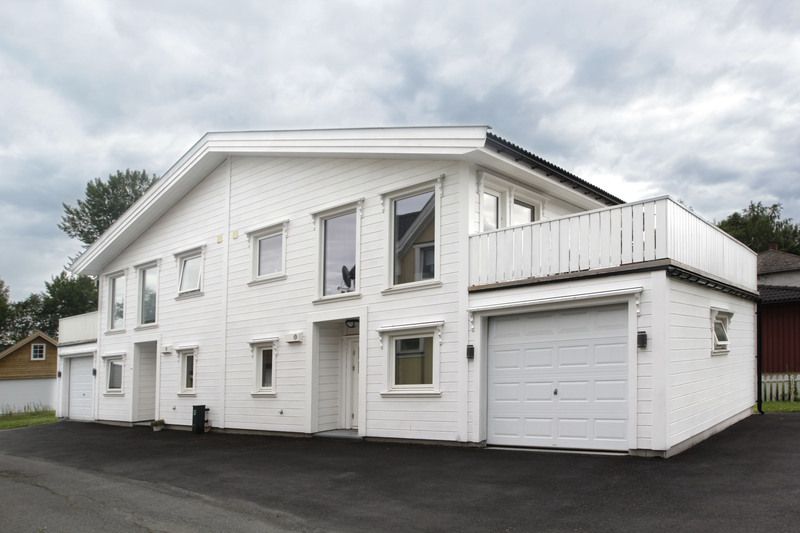 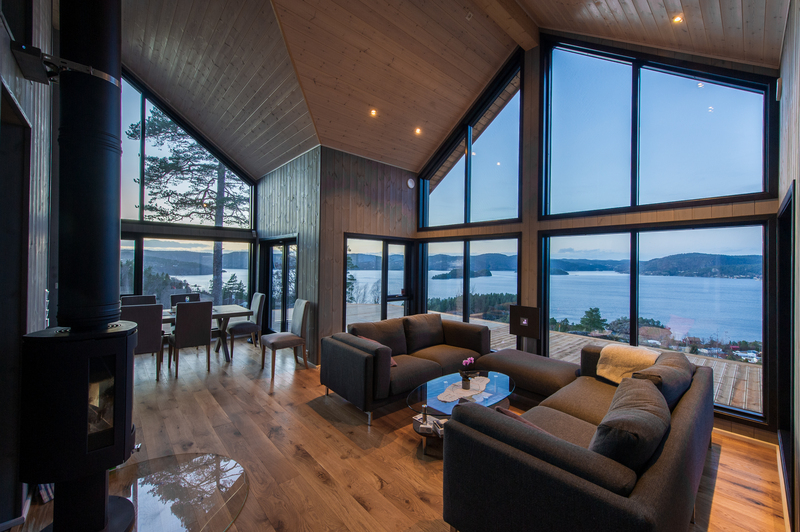 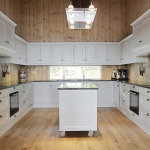 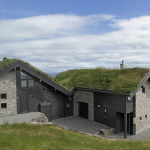 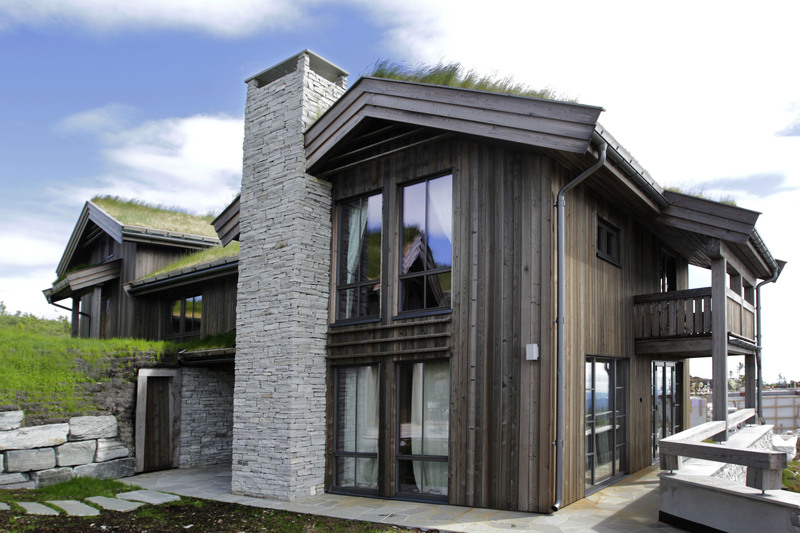 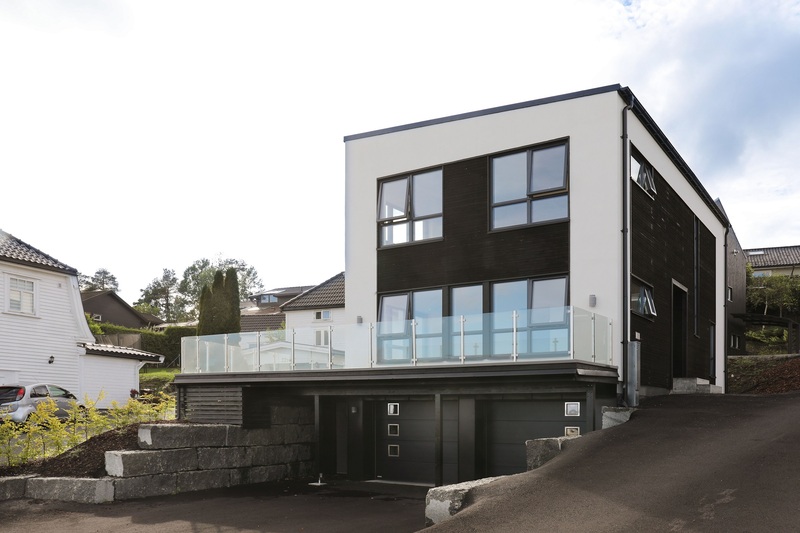 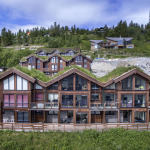 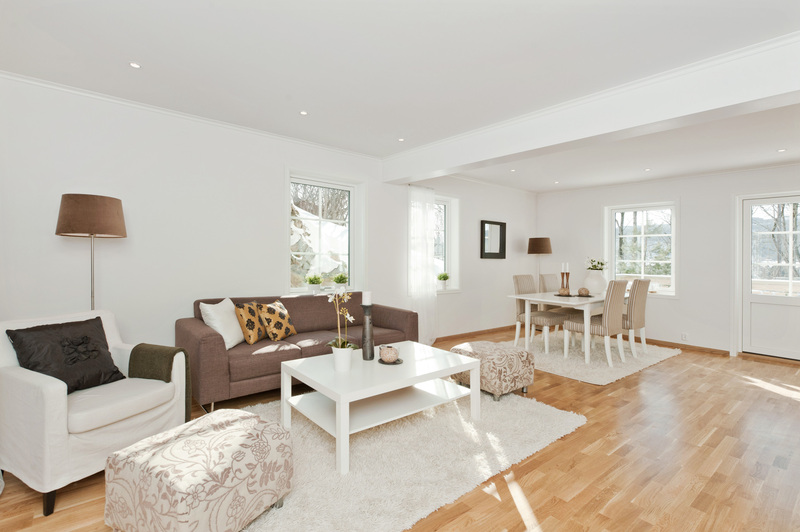 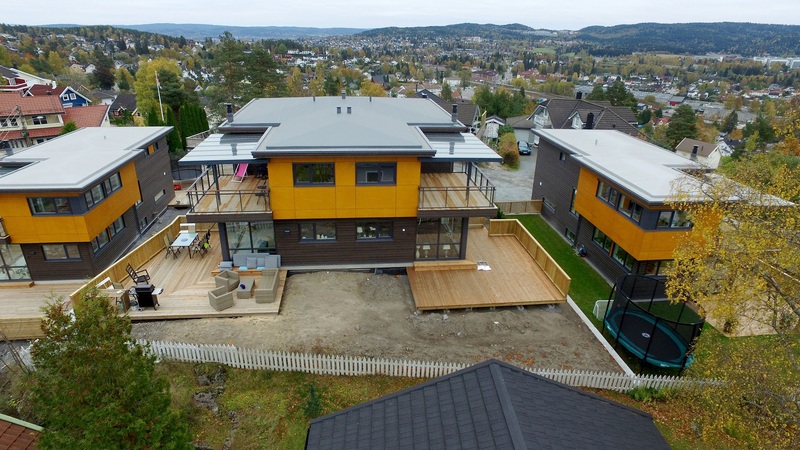 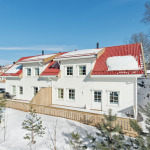 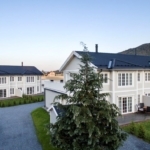 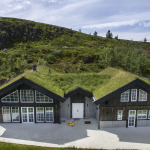 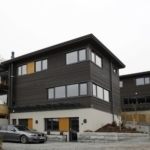 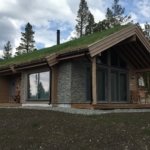 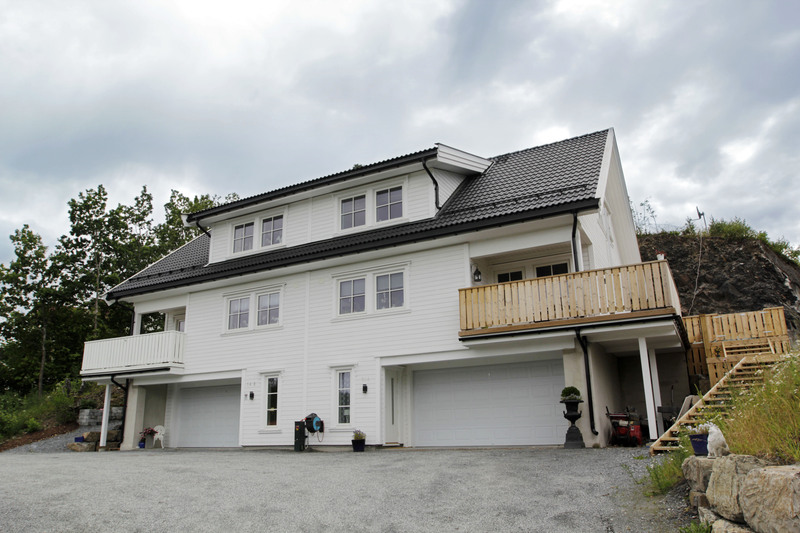 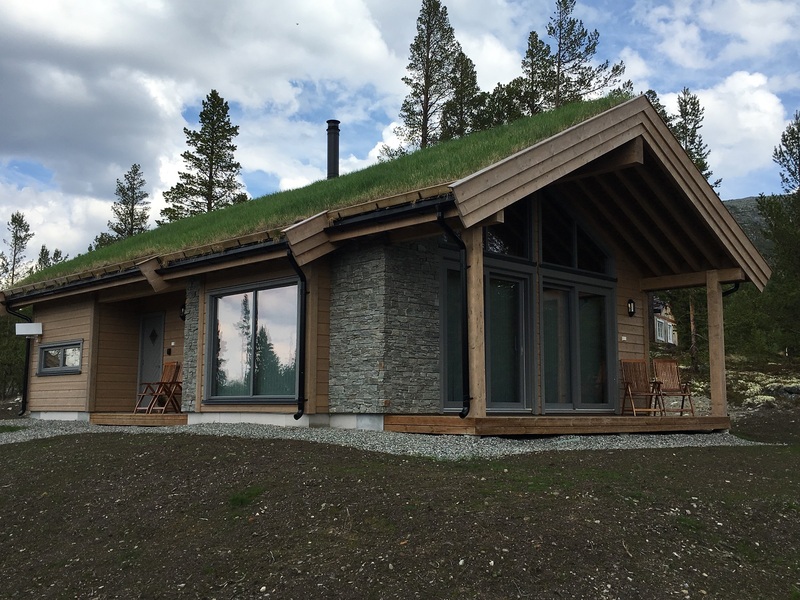 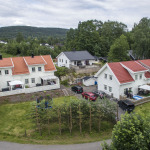 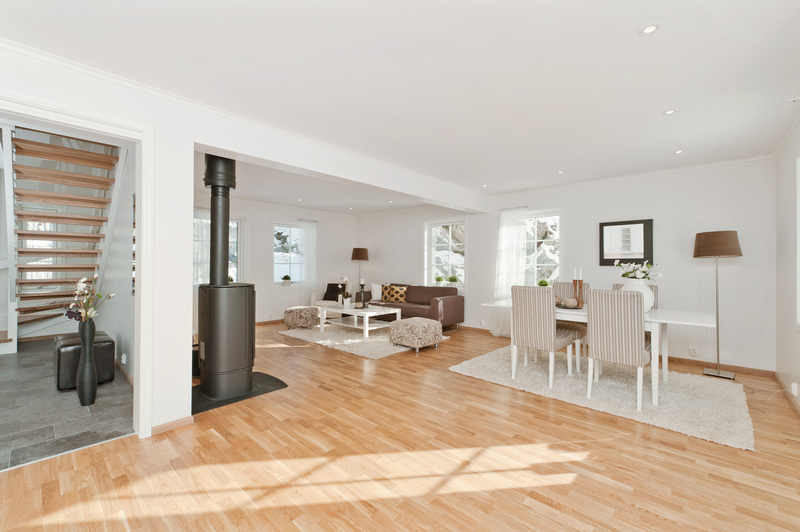 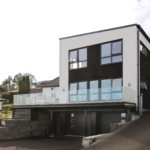 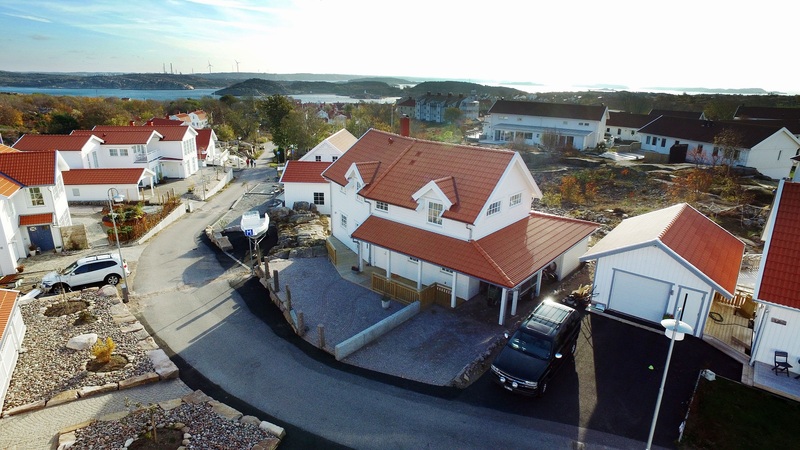 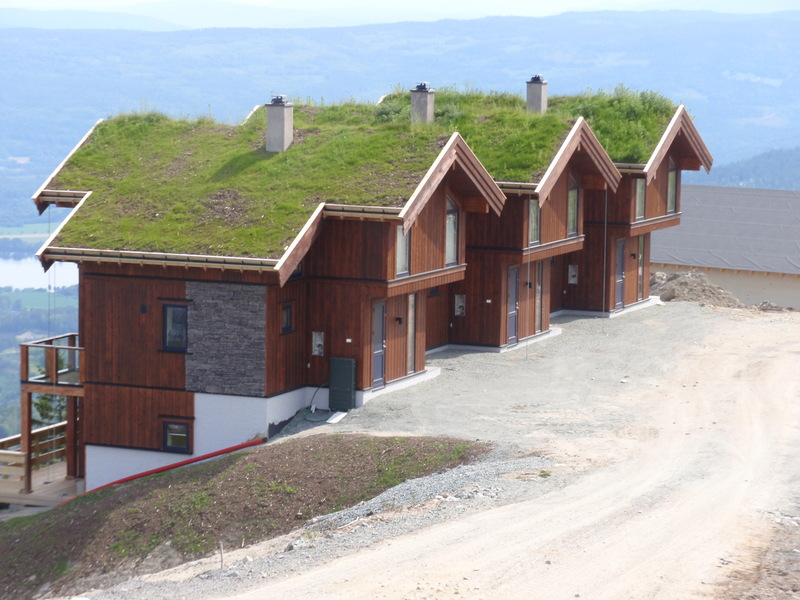 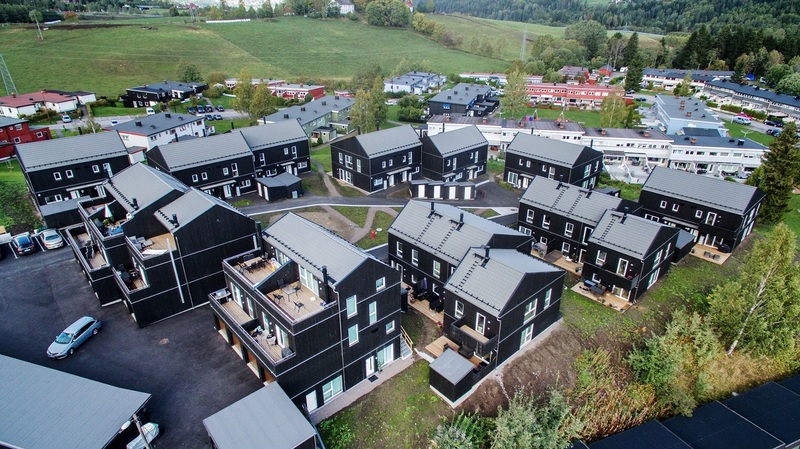 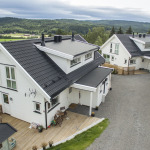 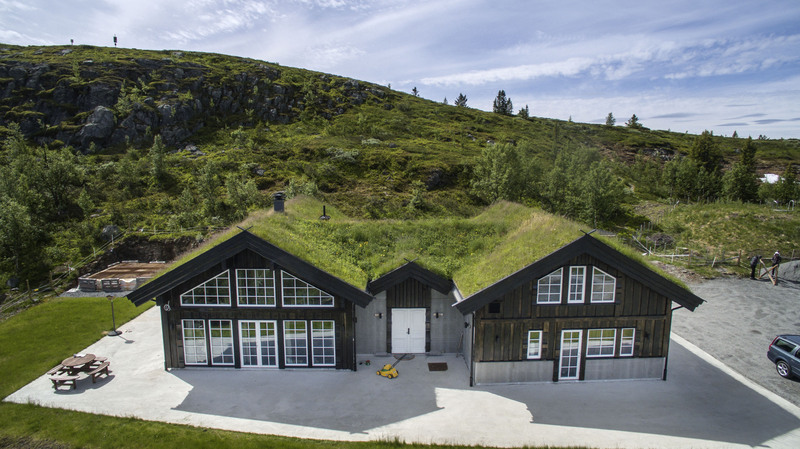 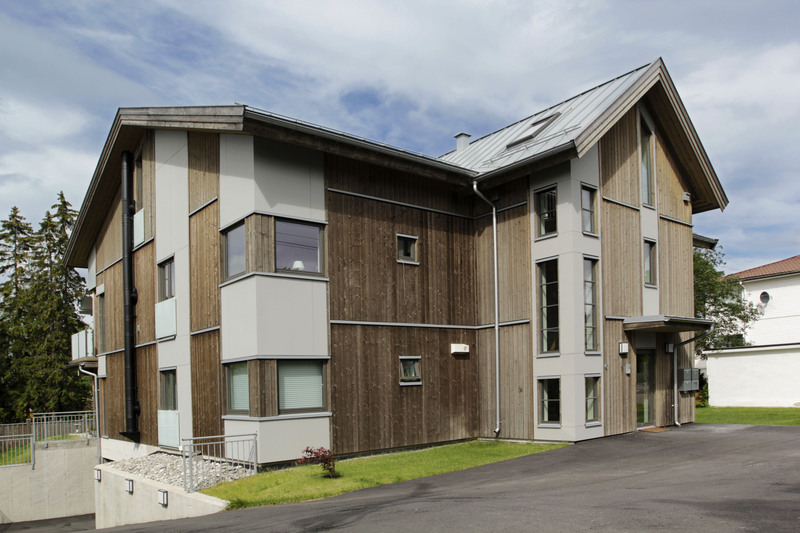 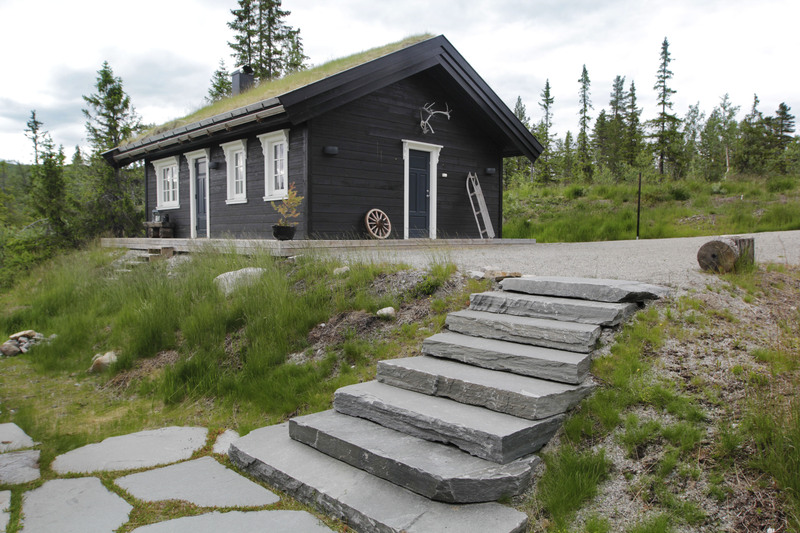 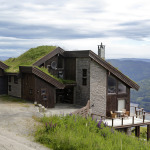 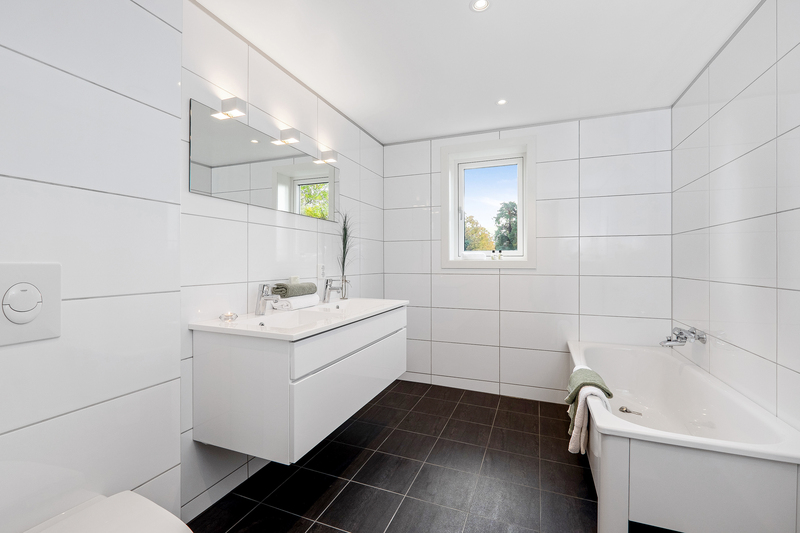 EstNor’s houses are manufactured according to SINTEF building standards and TEK 10 requirements are followed on the Norwegian construction market; with passive houses TEK 15 requirements are met.